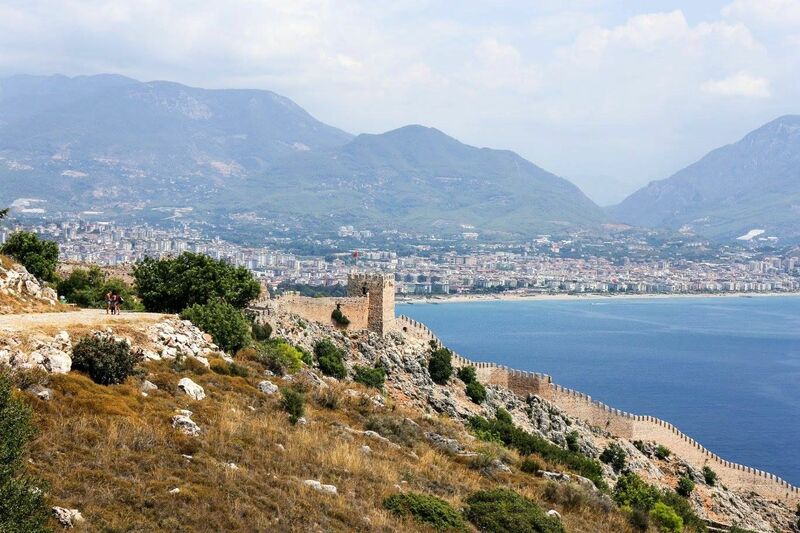 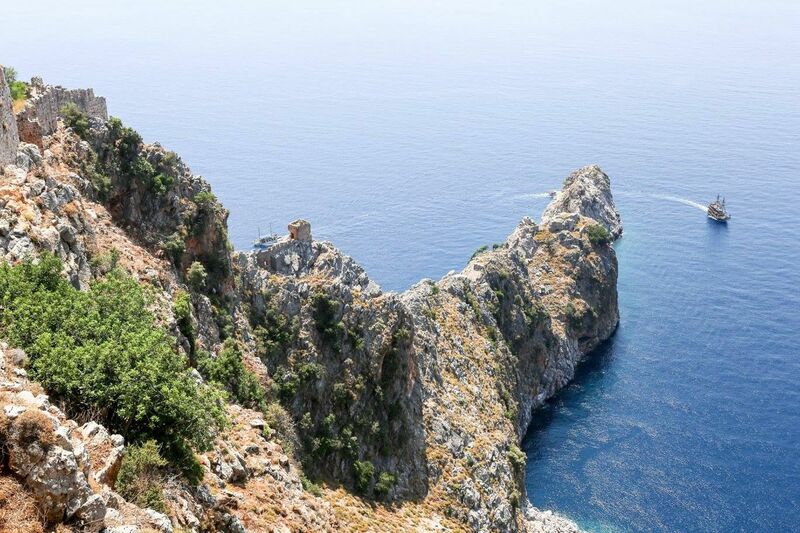 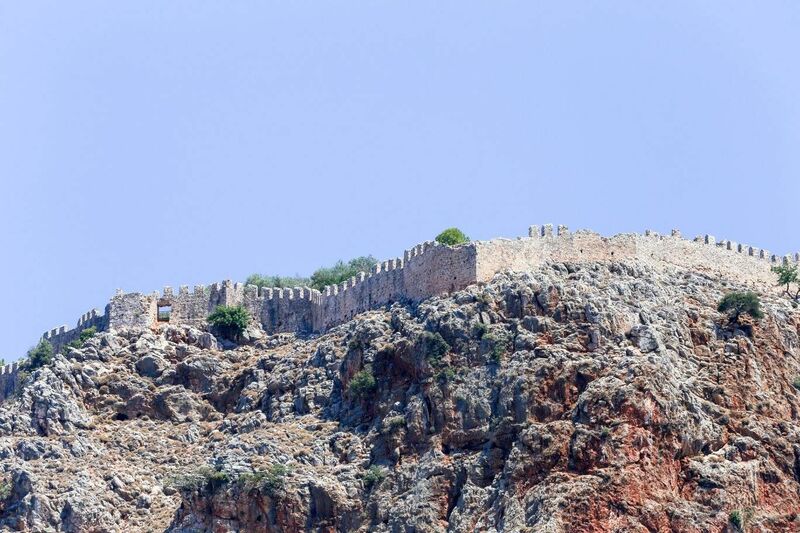 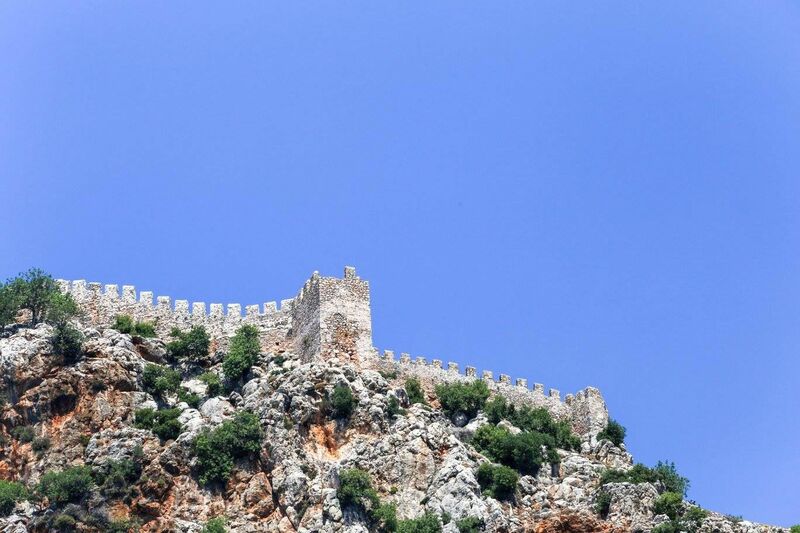 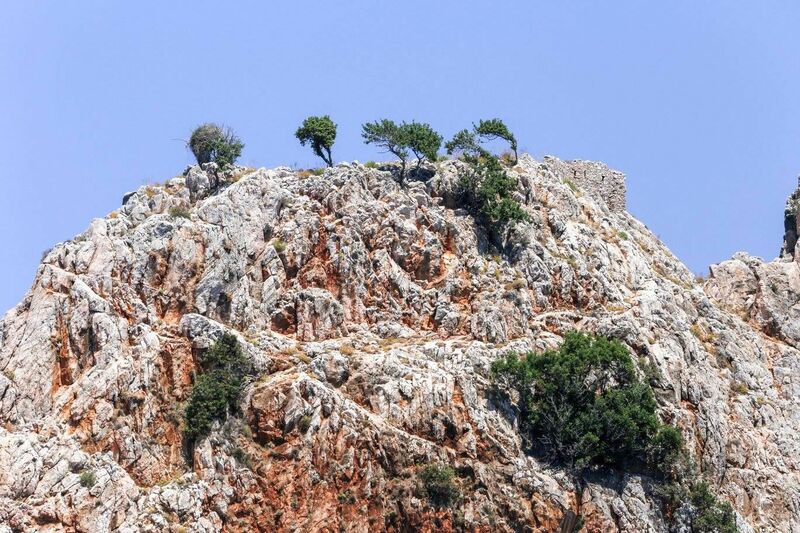 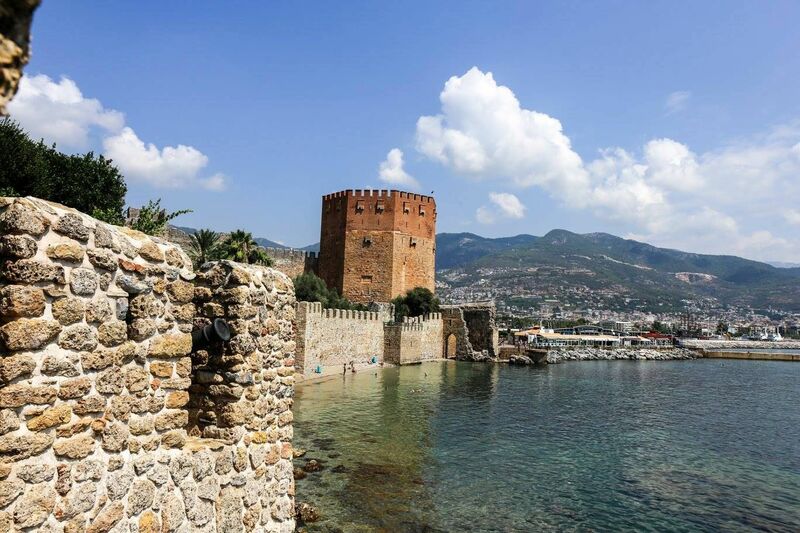 One of the symbols of Alanya – the Alanya castle over the rocky peninsula in the middle of the city. 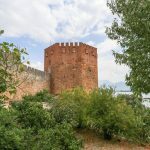 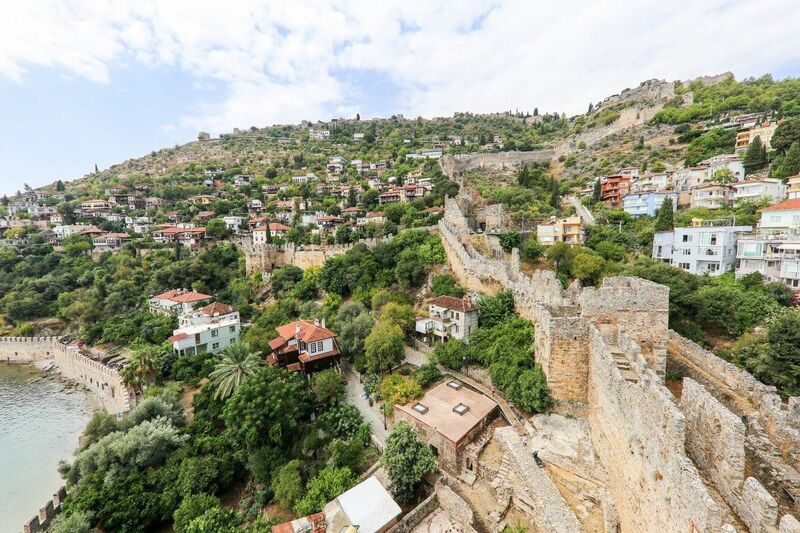 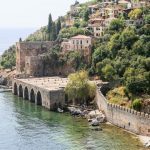 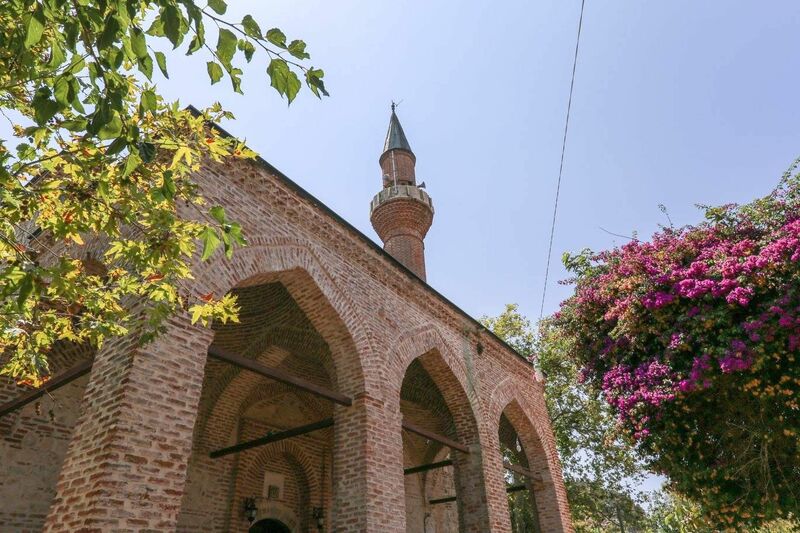 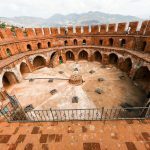 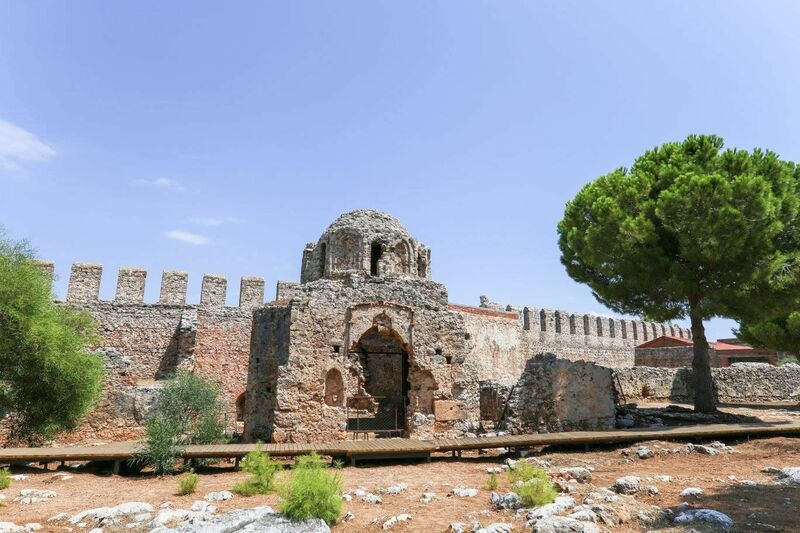 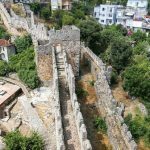 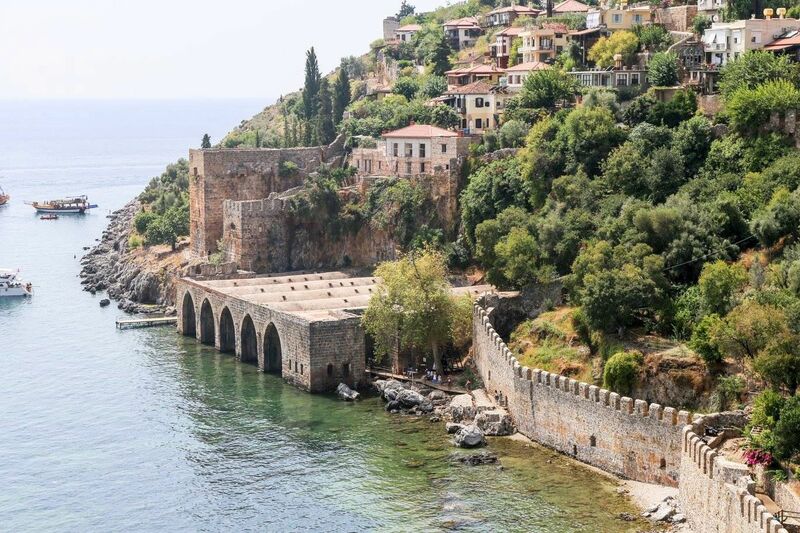 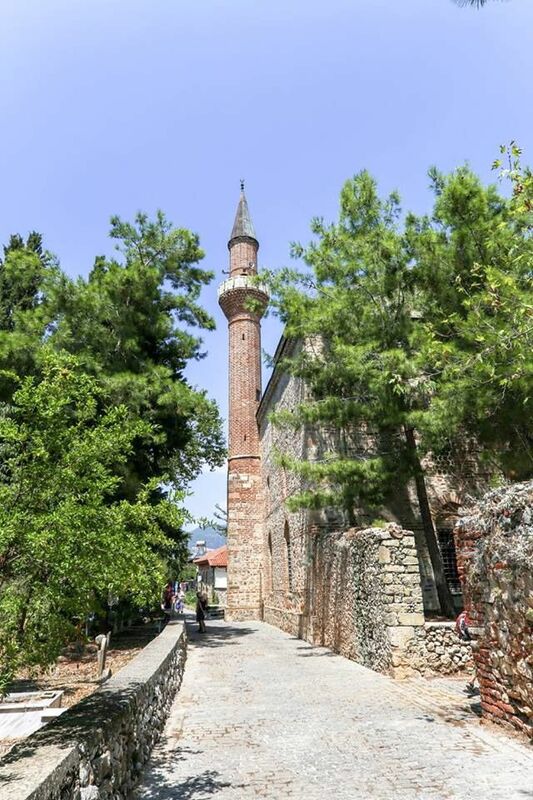 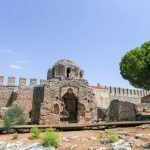 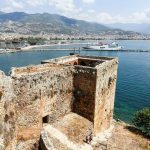 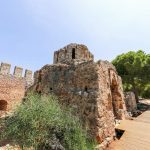 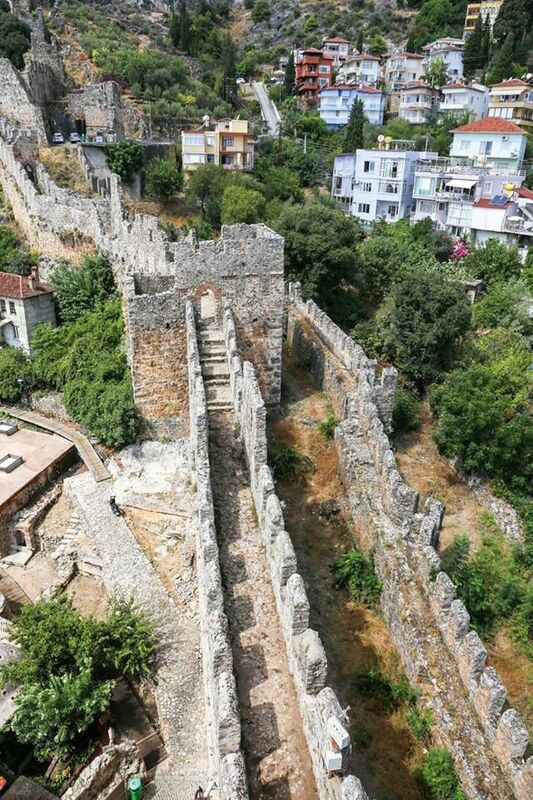 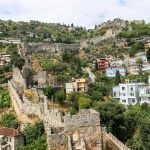 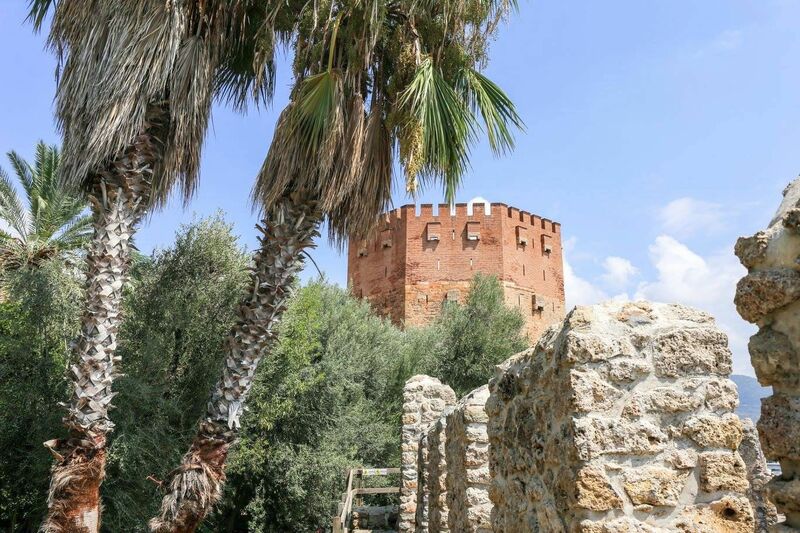 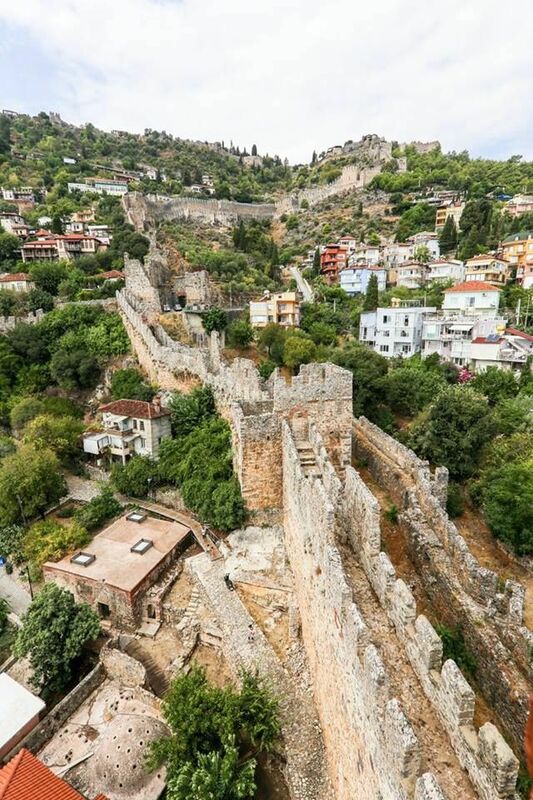 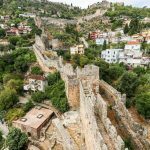 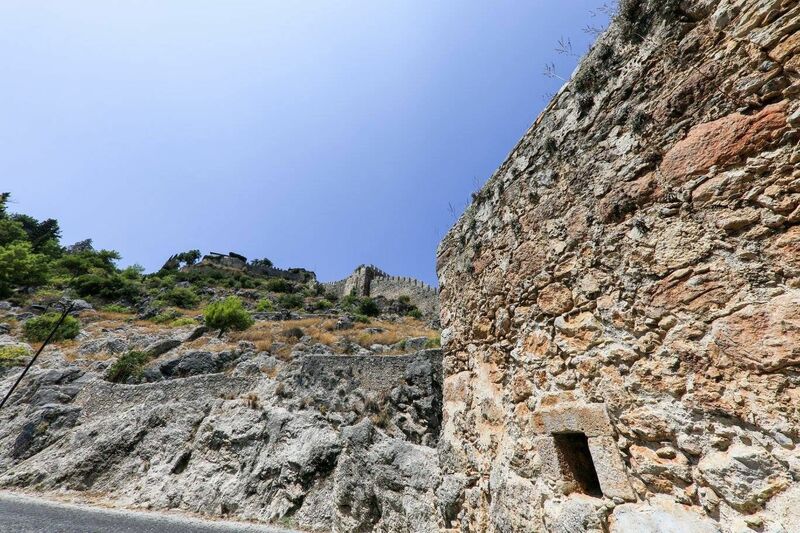 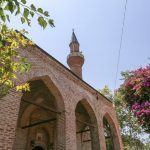 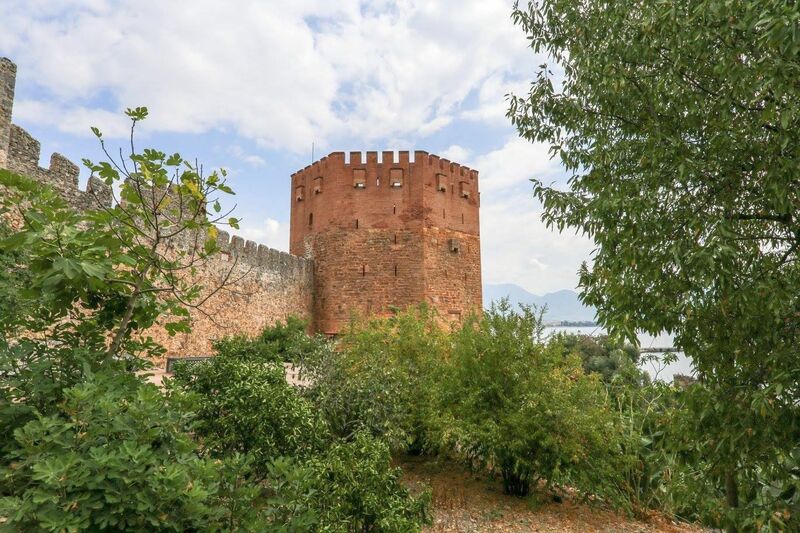 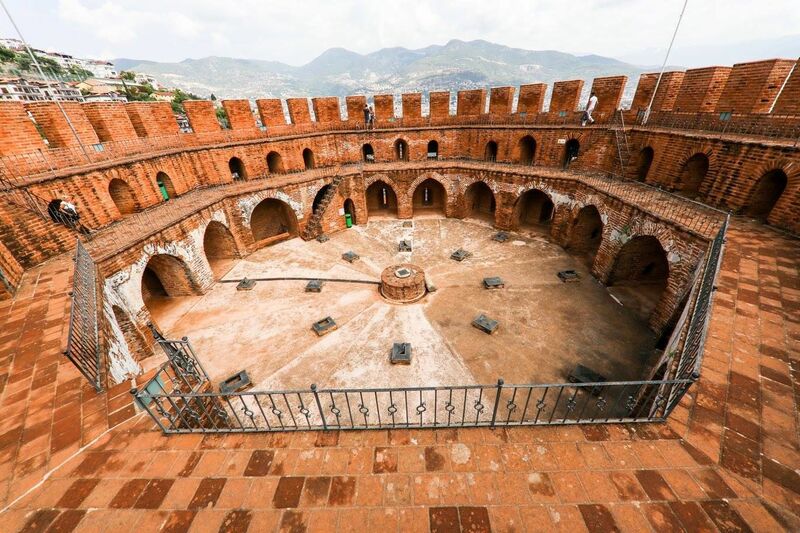 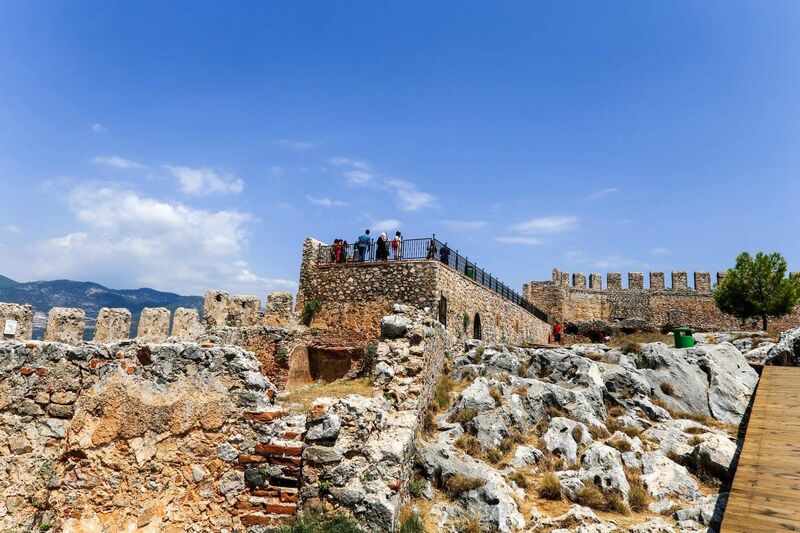 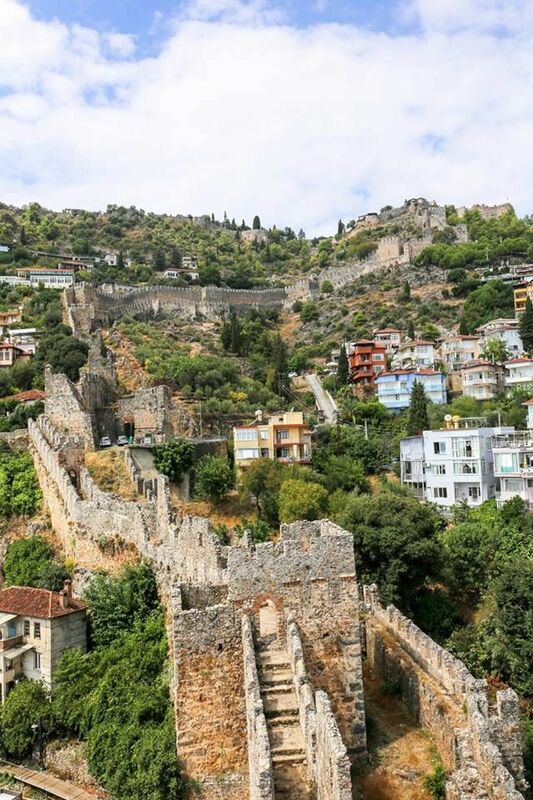 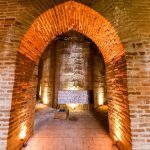 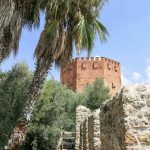 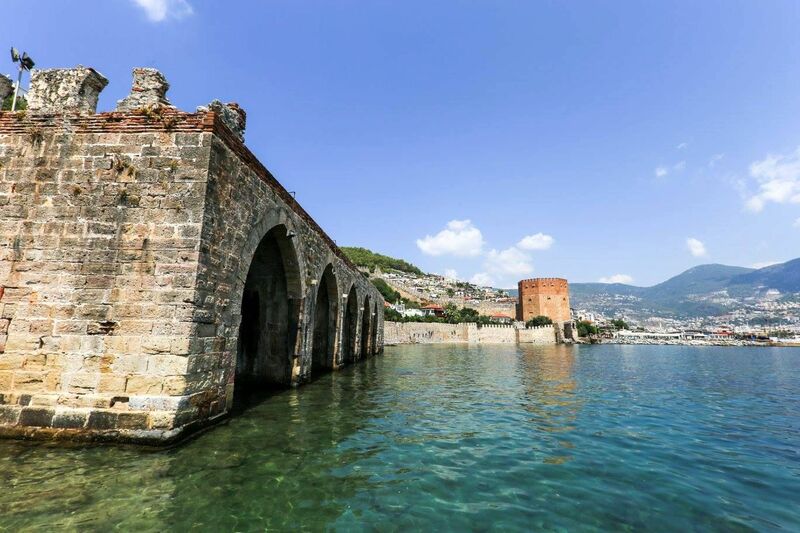 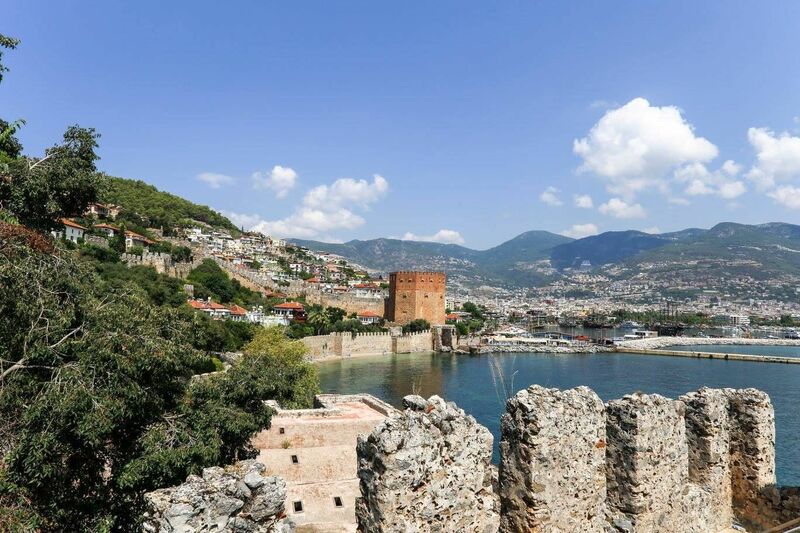 The fortress that you can see today is a remain of 13th century Seljuk fortress built after the conquest of Alanya in 1220 by Alaeddin Keykubat I. 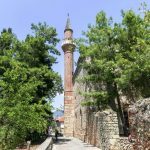 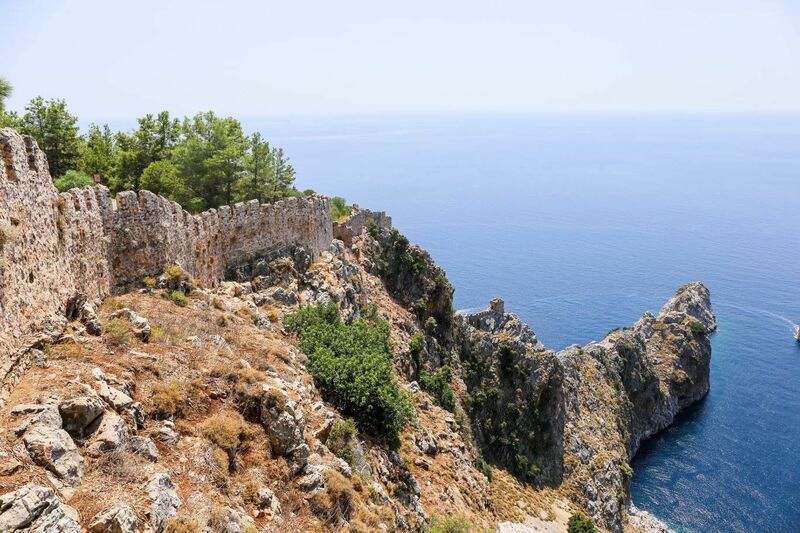 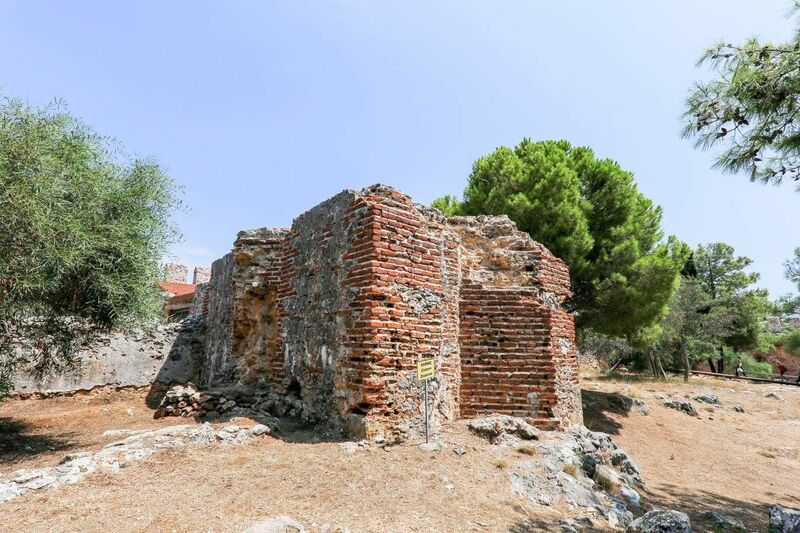 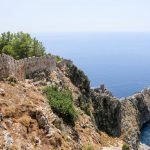 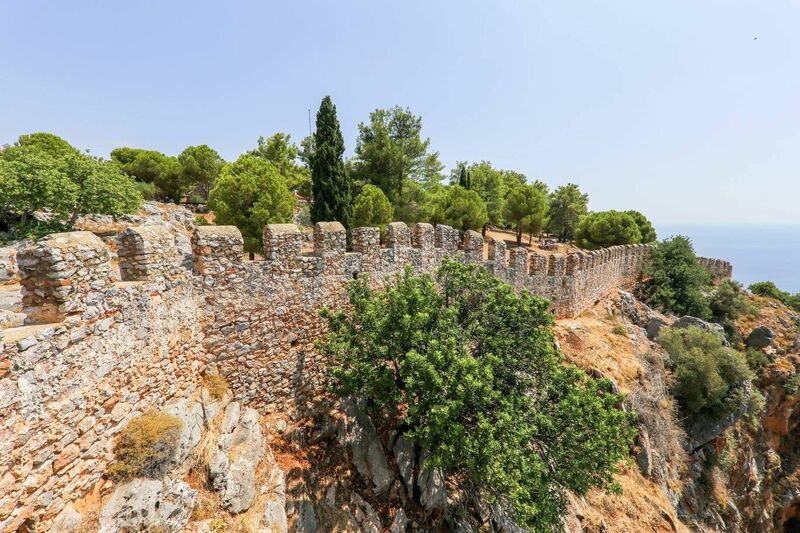 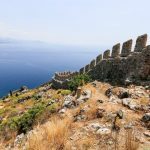 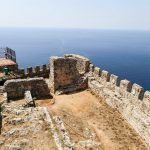 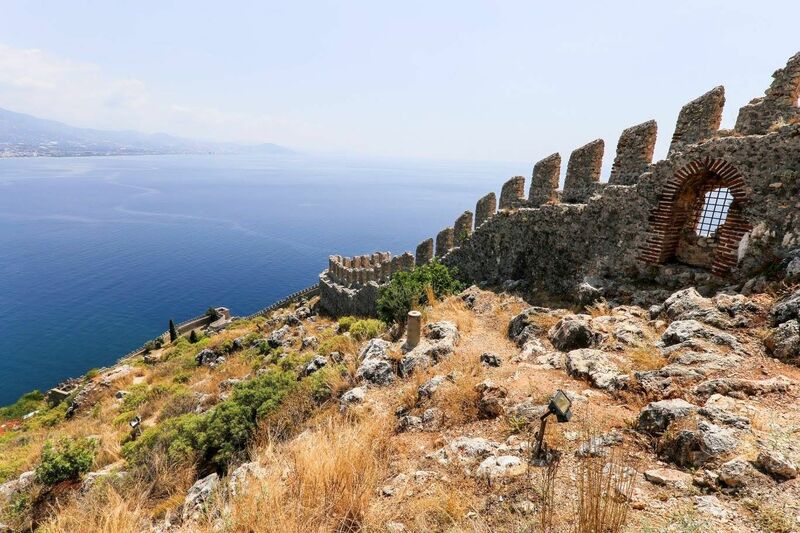 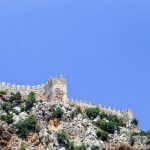 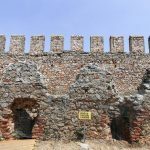 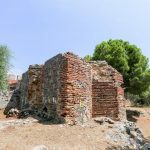 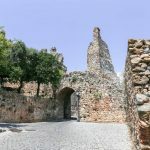 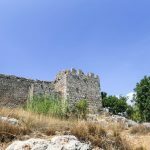 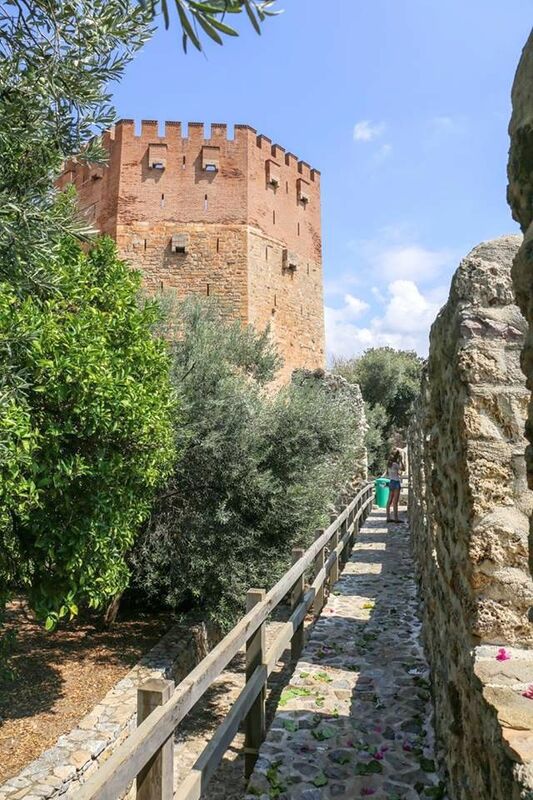 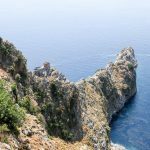 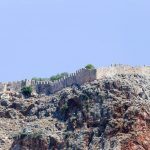 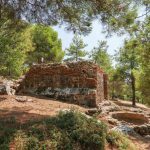 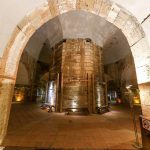 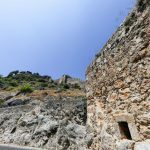 However, the very first fortifications have most probably been built by pirates occupying the peninsula in 3rd century BC and later replaced and improved into Byzantine and Roman fortifications over the centuries. 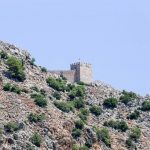 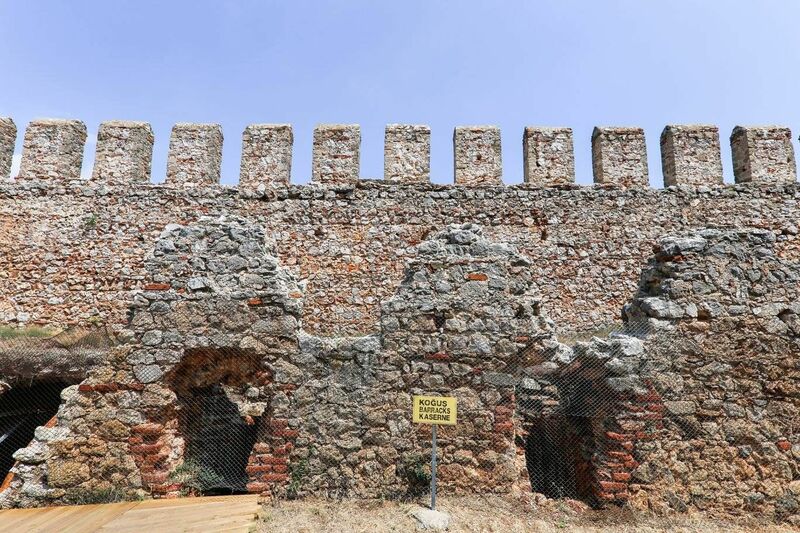 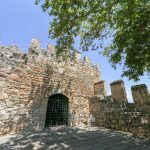 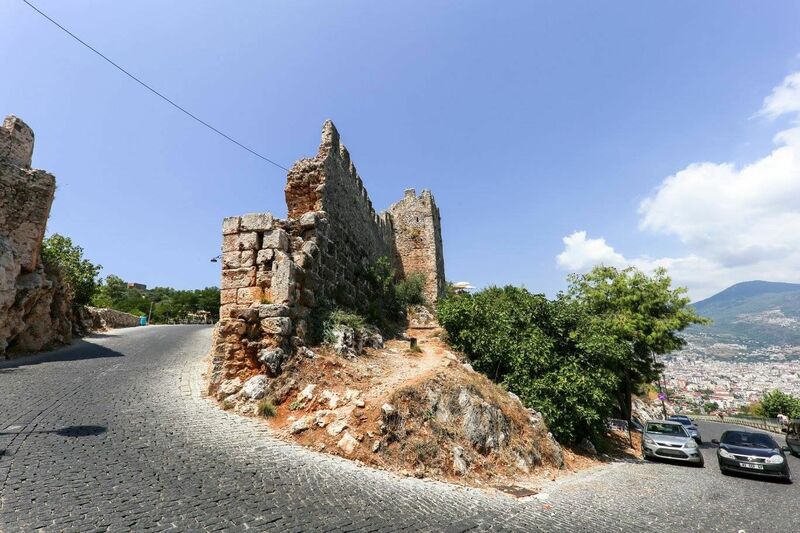 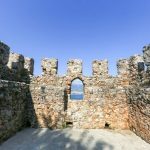 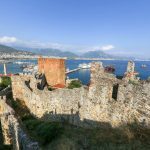 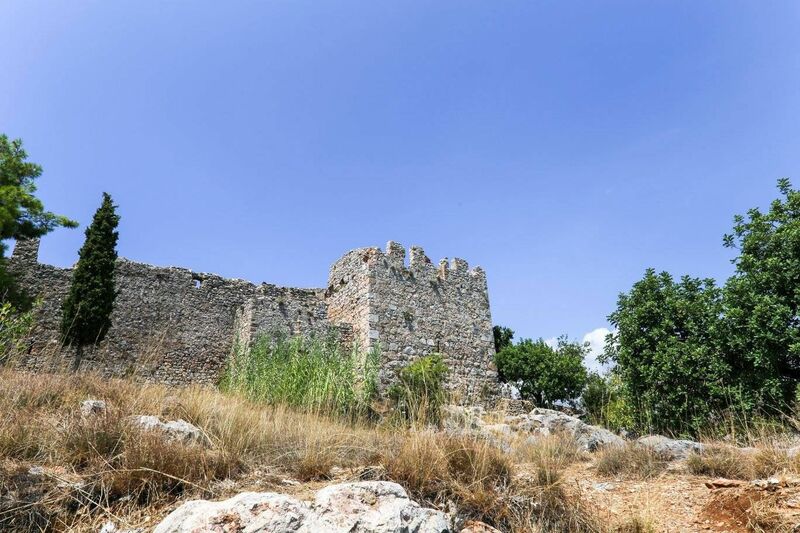 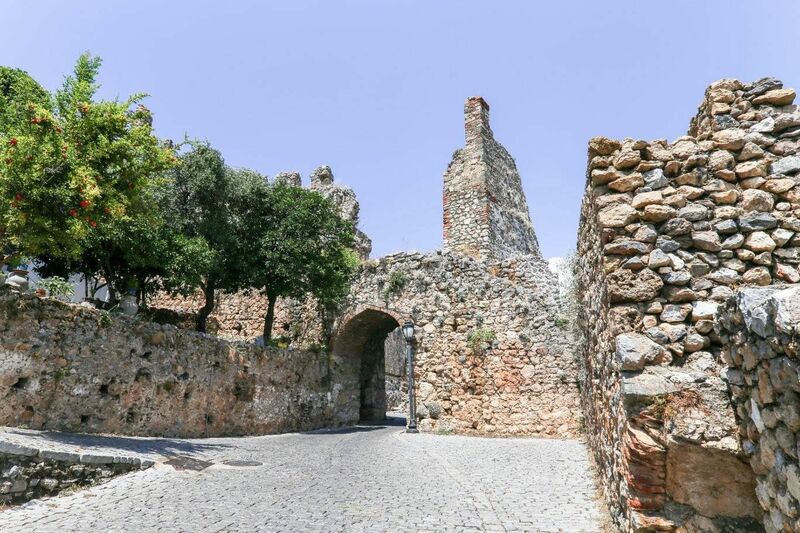 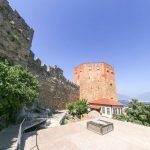 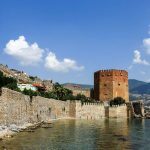 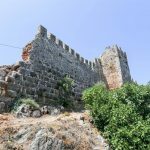 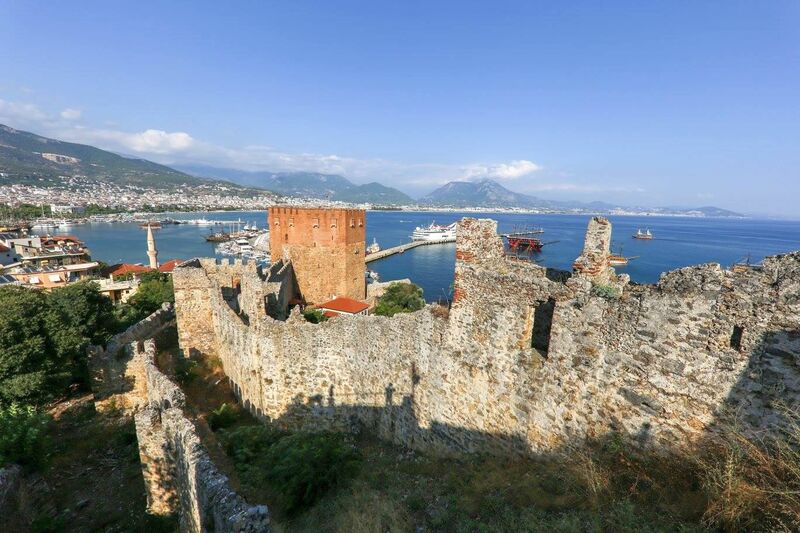 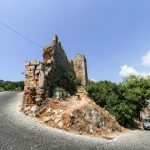 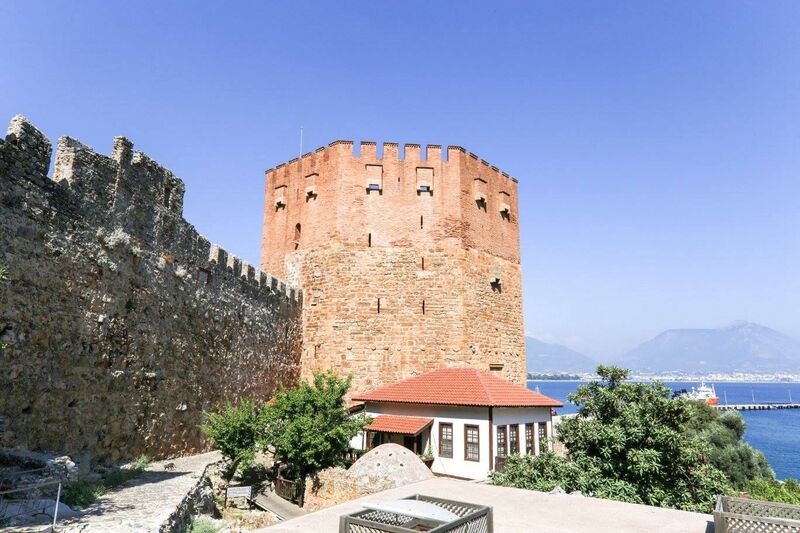 The latest Seljuk Alanya castle is app. 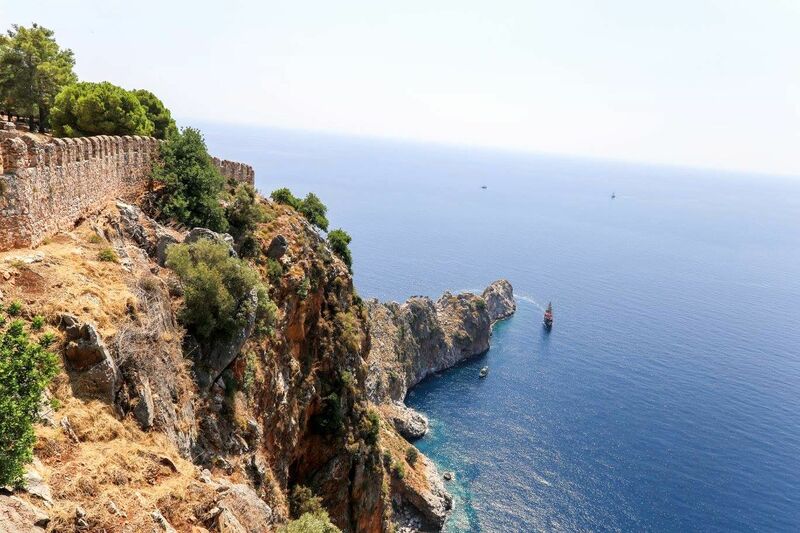 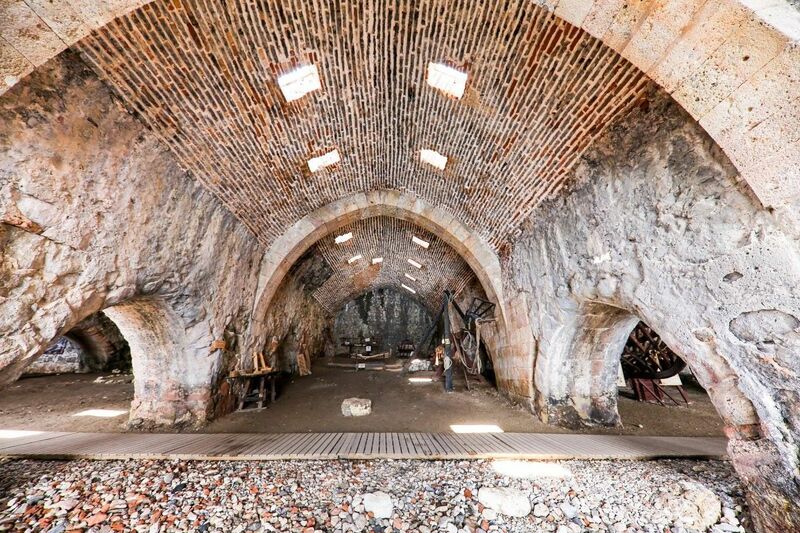 250m over the sea level and its walls have great 6,5km in length. 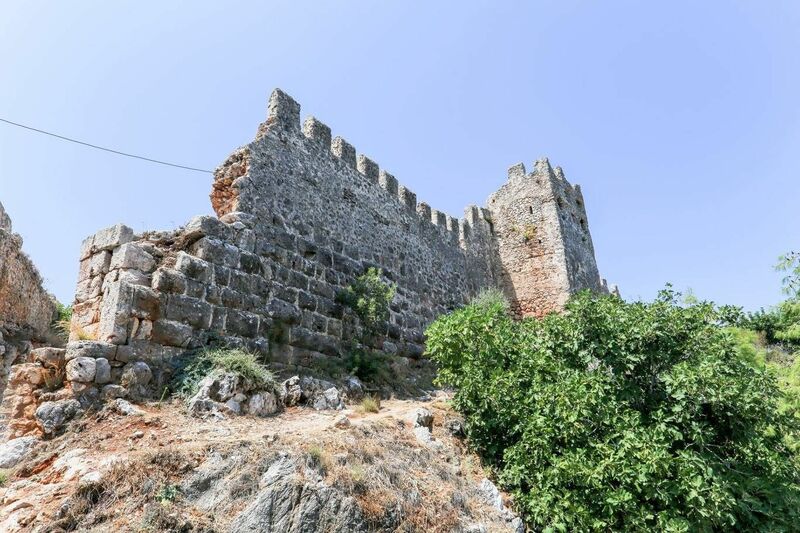 There used to be 140 towers along the walls and around 400 cisterns in the castle. 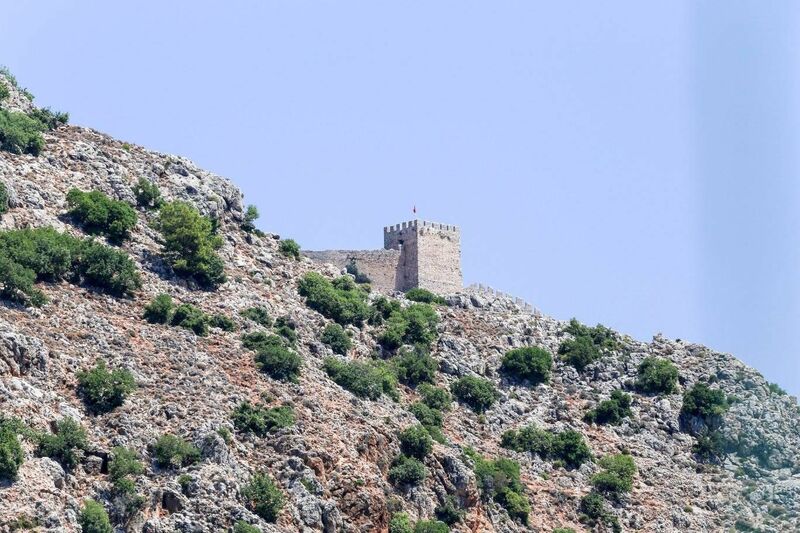 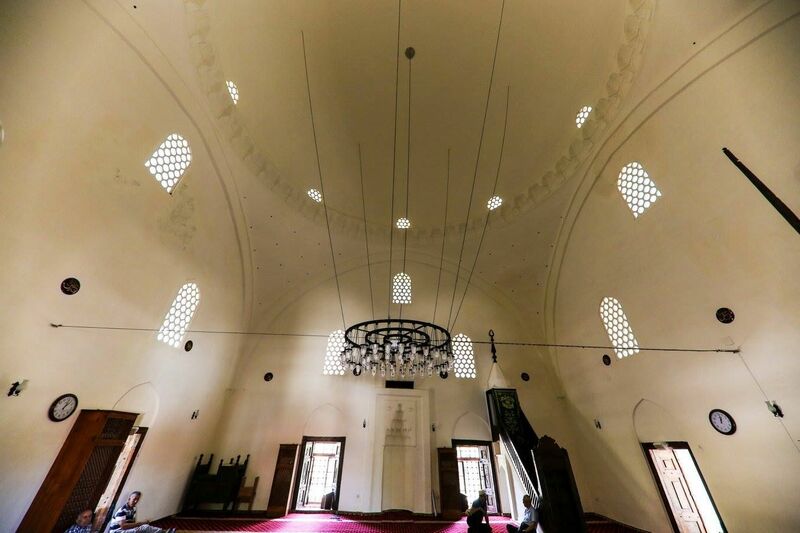 The fortifications formed a three separated divisions – one for the sultan and his family, one for the army and one for the ordinary people. 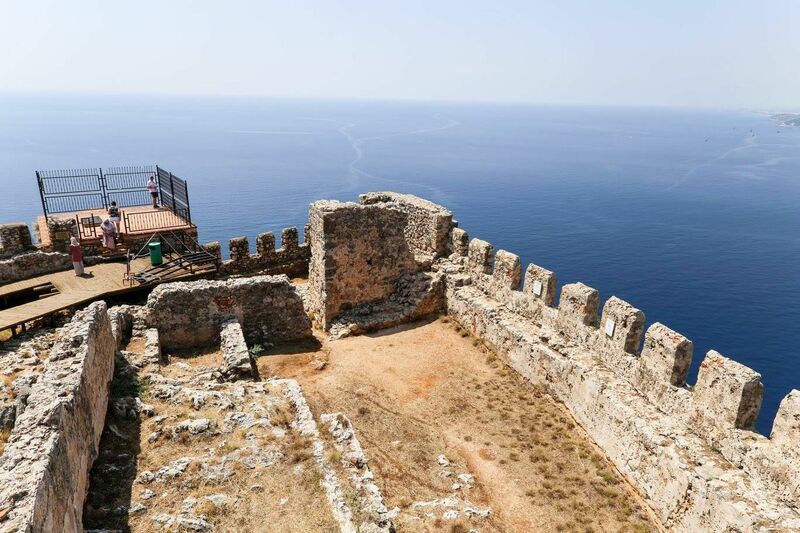 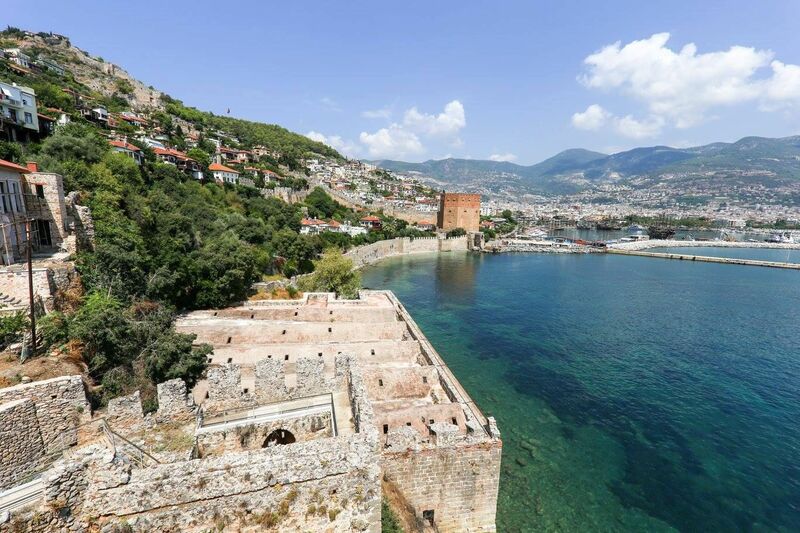 During the Ottoman era the Alanya castle was used only for defensive purposes and there were many private villas built within the fortress in the 19th century. 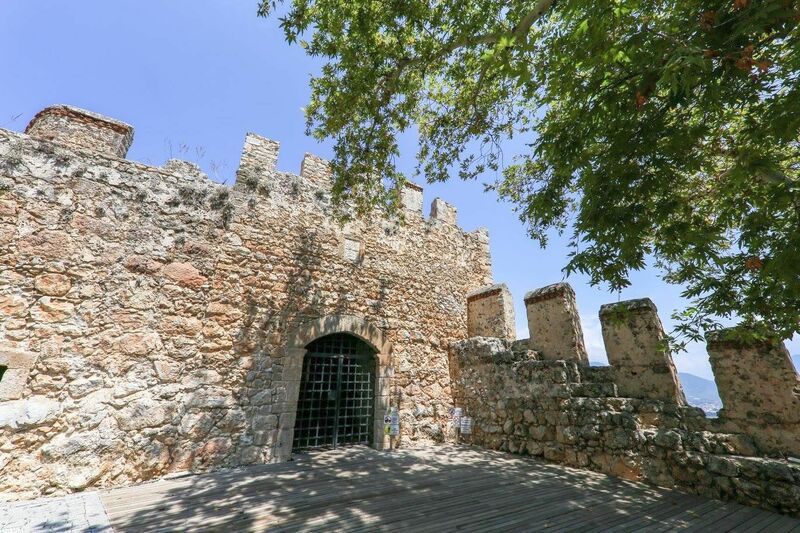 The castle serves today as an open air museum. 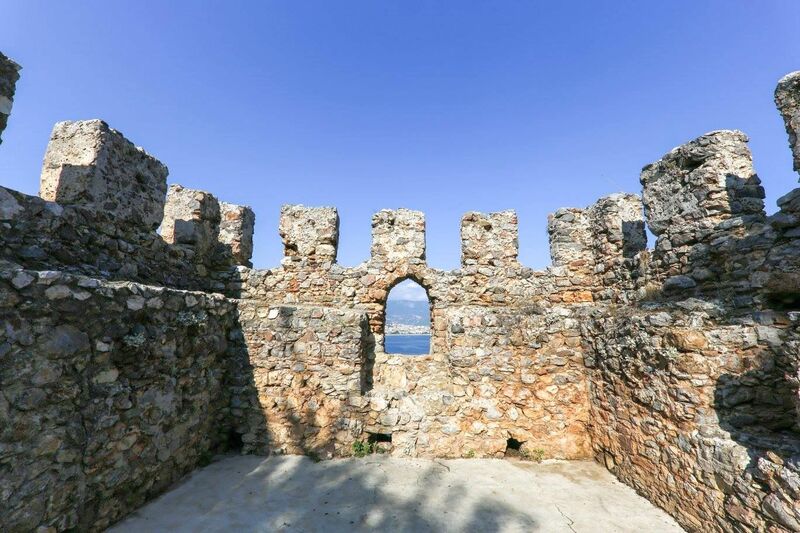 The entrance to the museum is at the very top of the castle and except the fortifications and ruins there are great views from the castle as well. 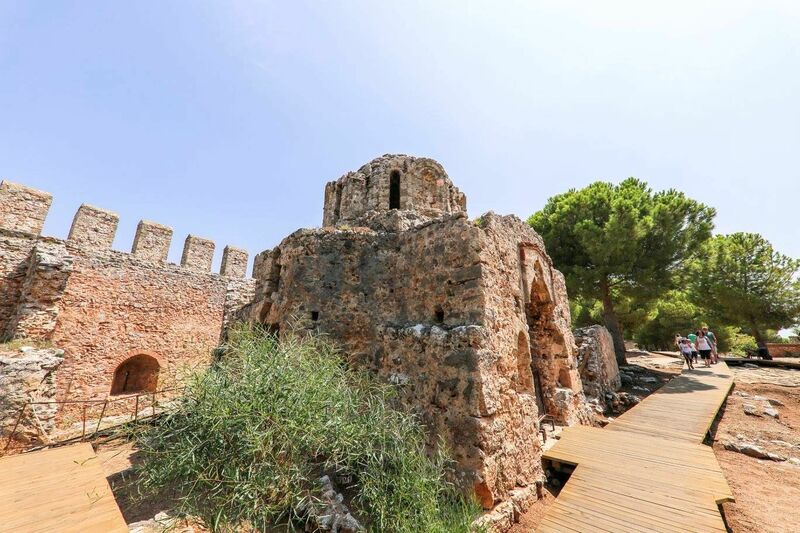 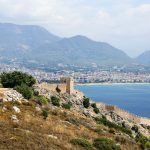 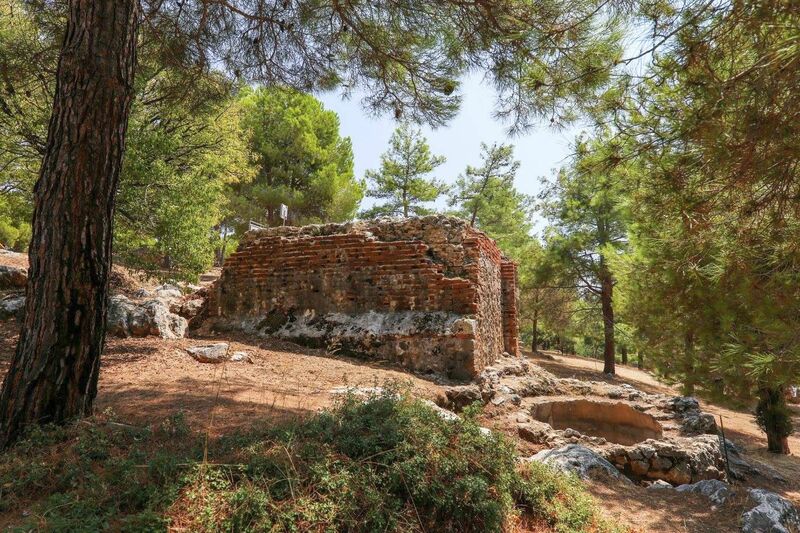 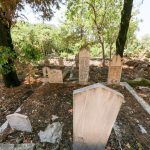 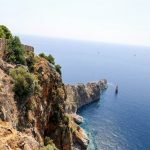 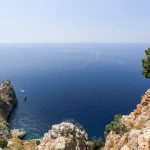 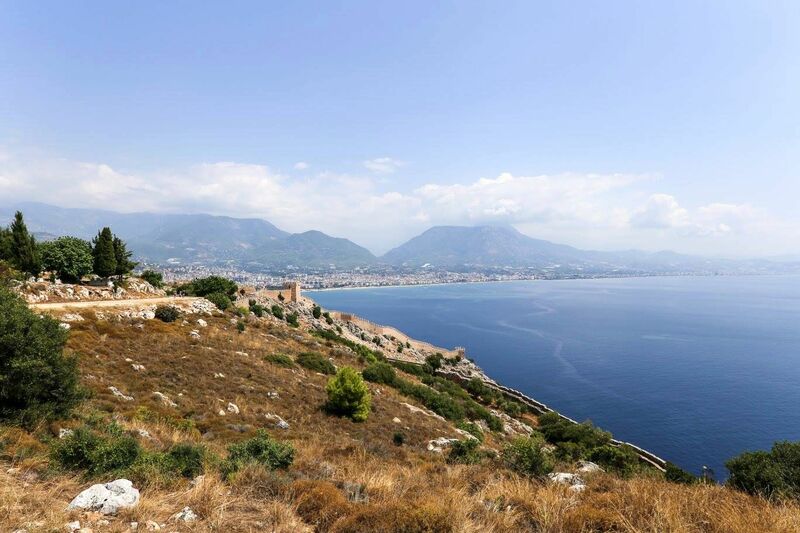 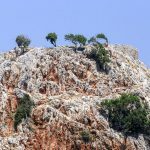 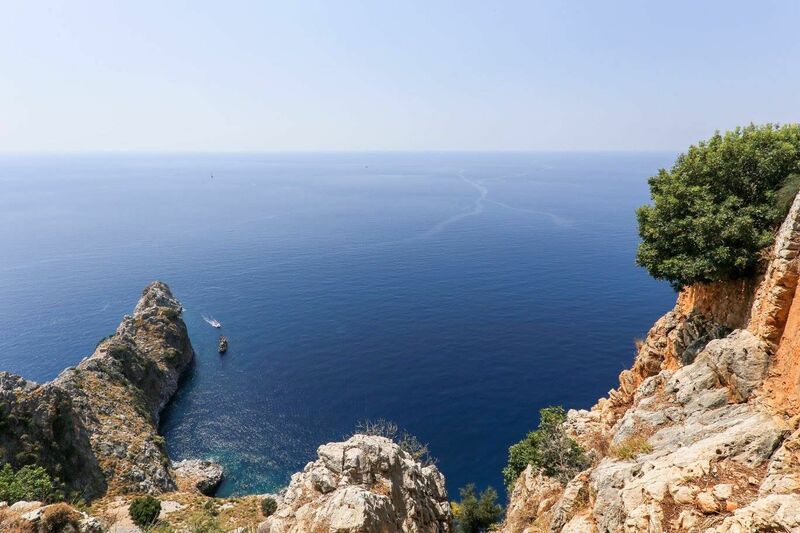 Approximately 15 minutes by walk following the signs “Ehmedek” you will arrive to another part of the castle with great views over both – the Cleopatra Beach on the western side and the old harbour on the eastern side of the castle. 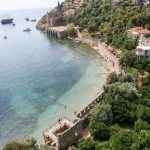 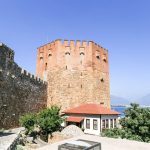 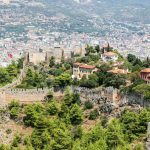 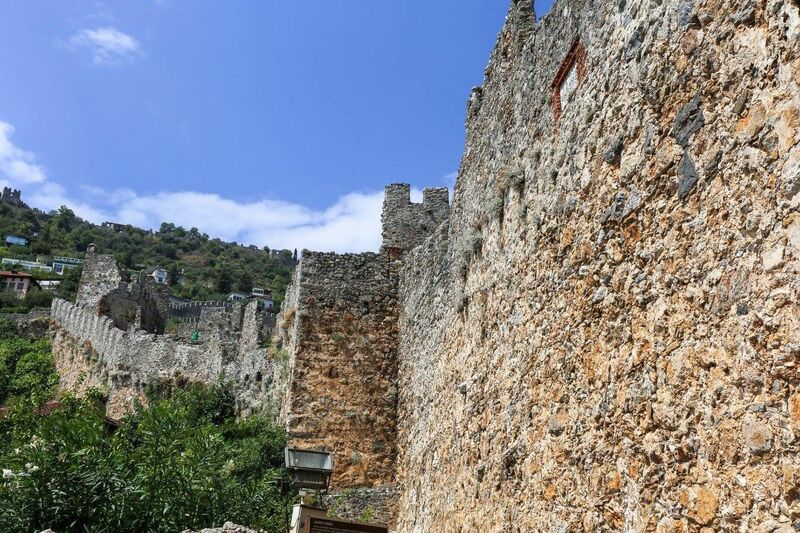 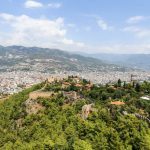 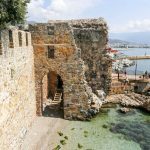 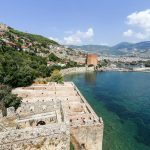 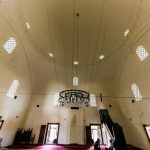 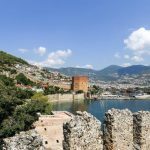 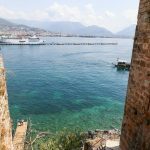 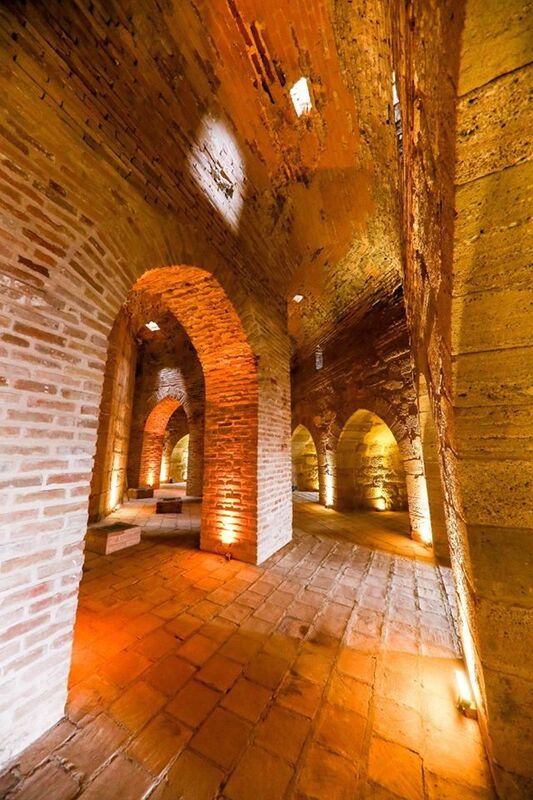 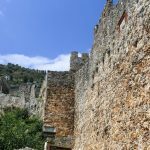 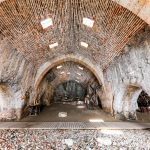 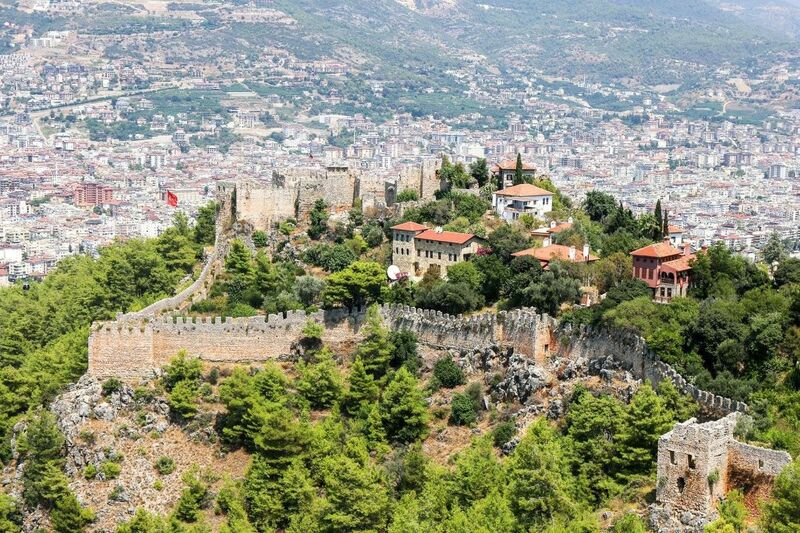 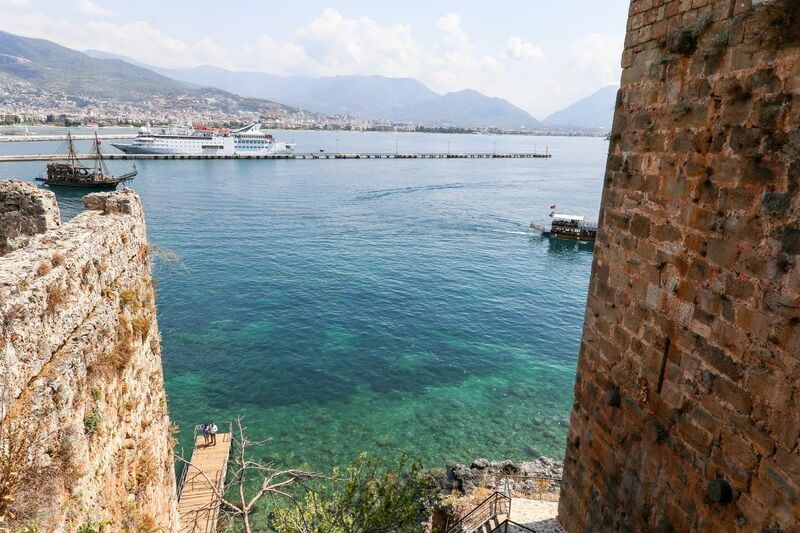 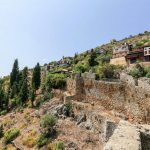 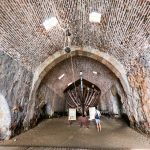 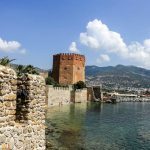 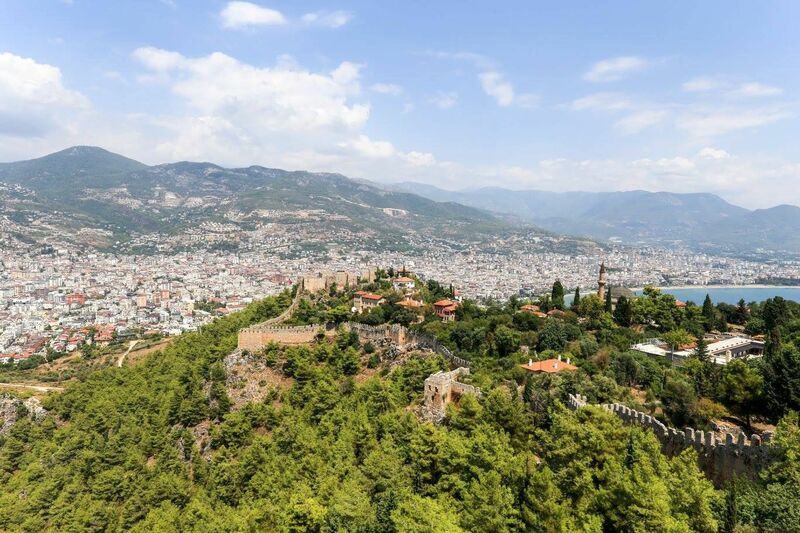 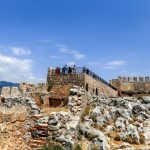 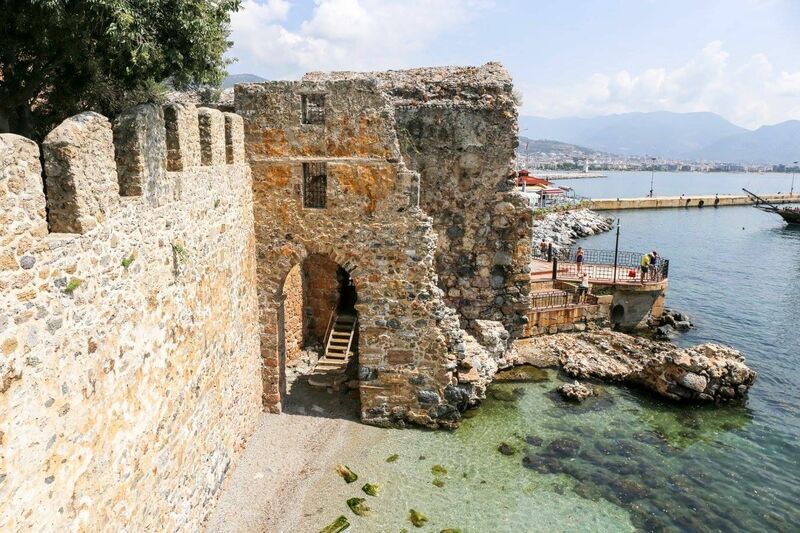 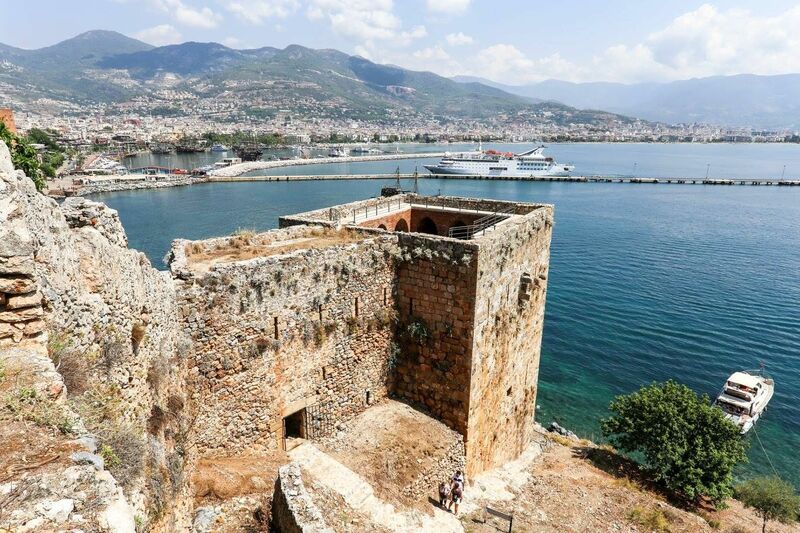 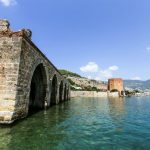 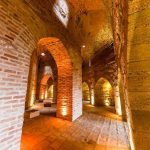 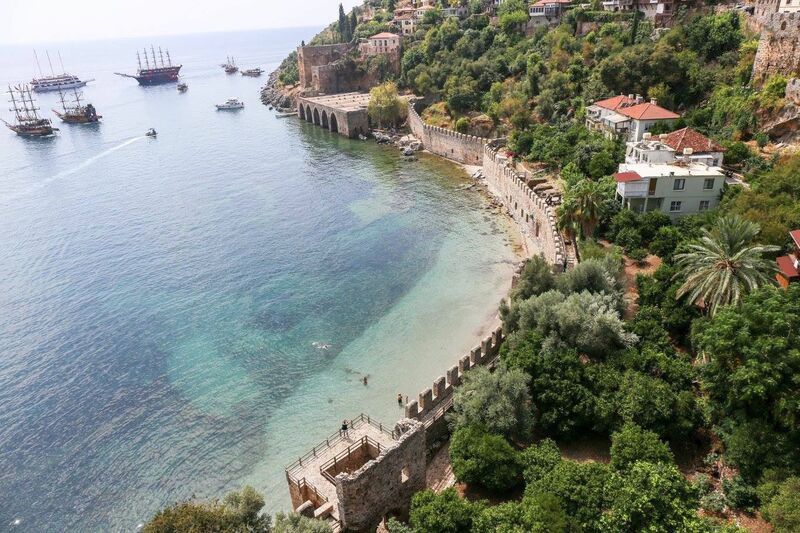 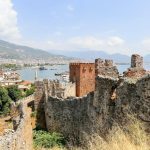 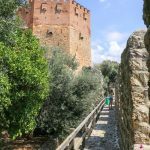 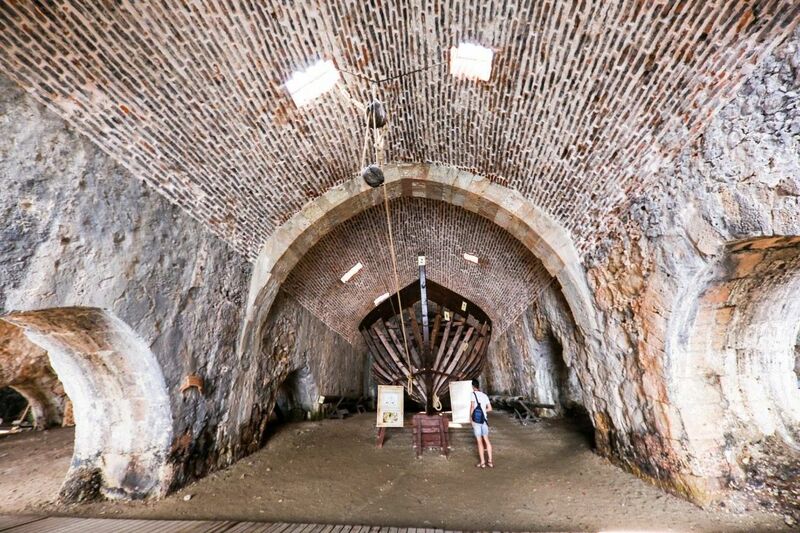 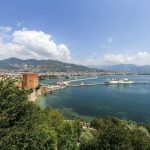 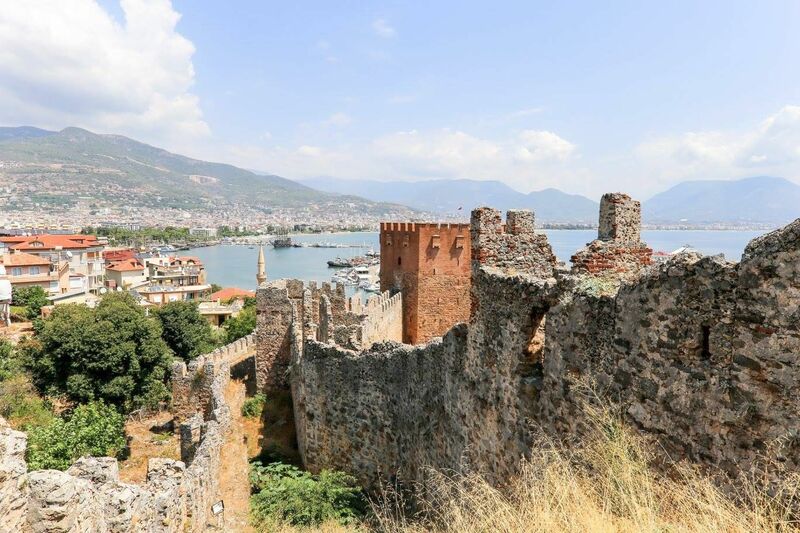 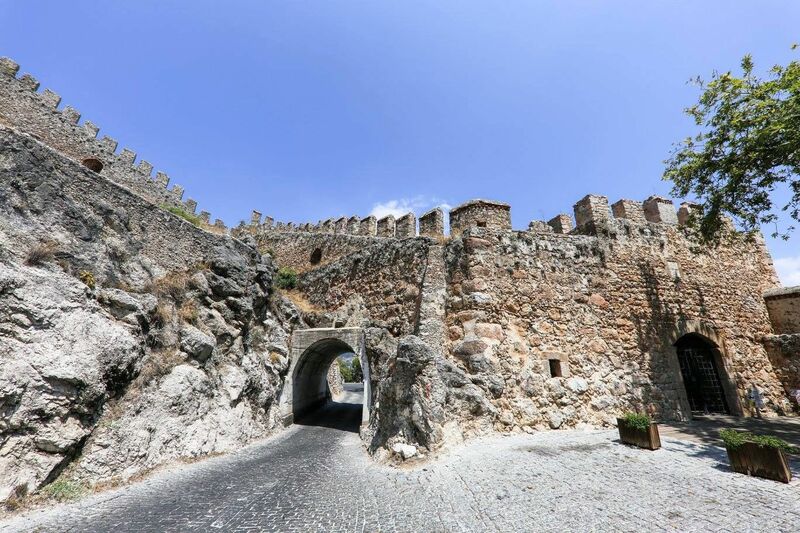 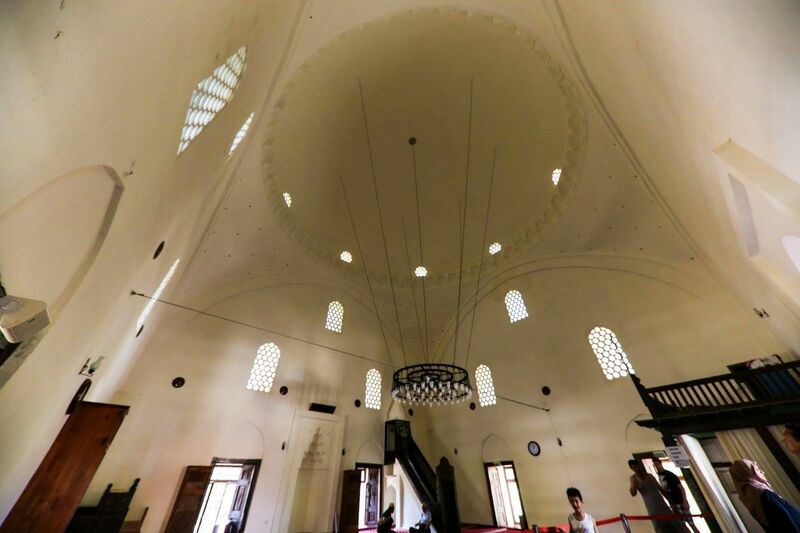 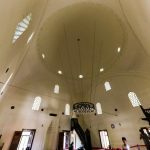 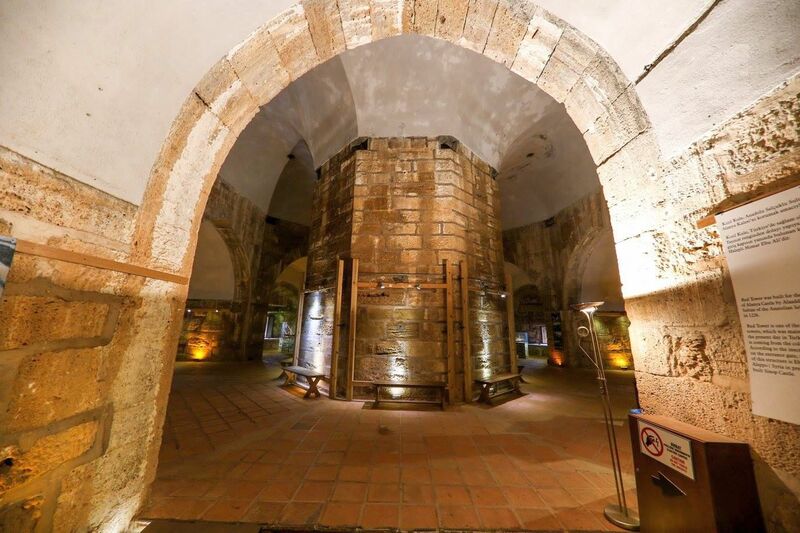 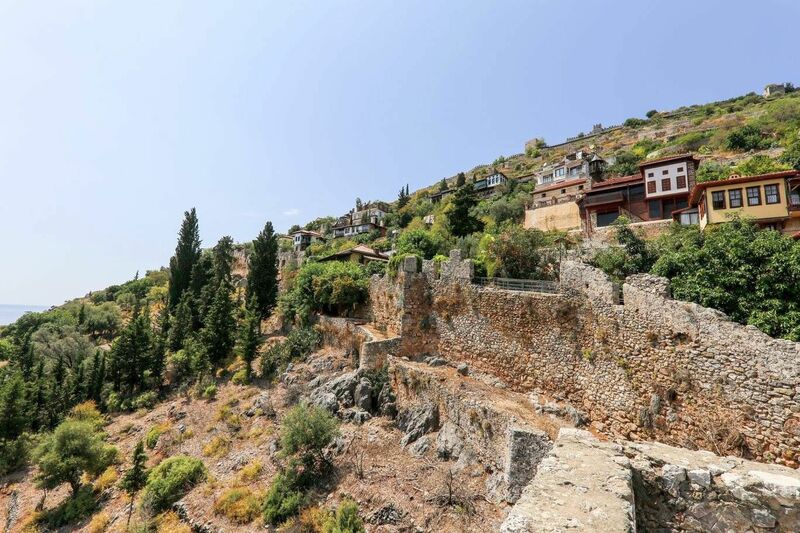 A big part is opened to public so you can easily walk the fortifications and lovely historical streets of the Alanya castle without any charge. 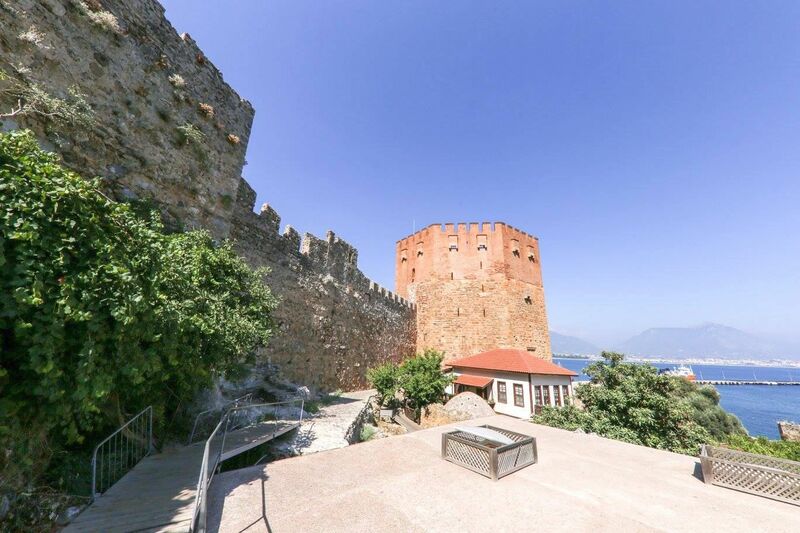 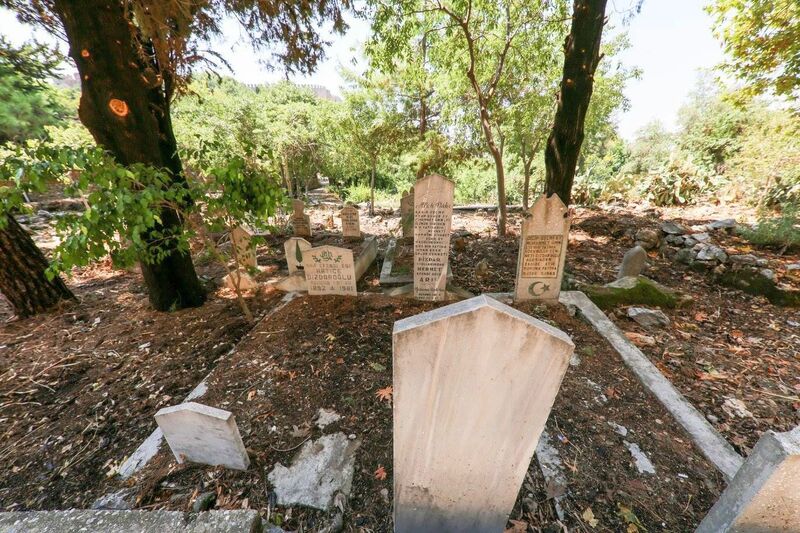 The entrance fee to the castle is 10TL. 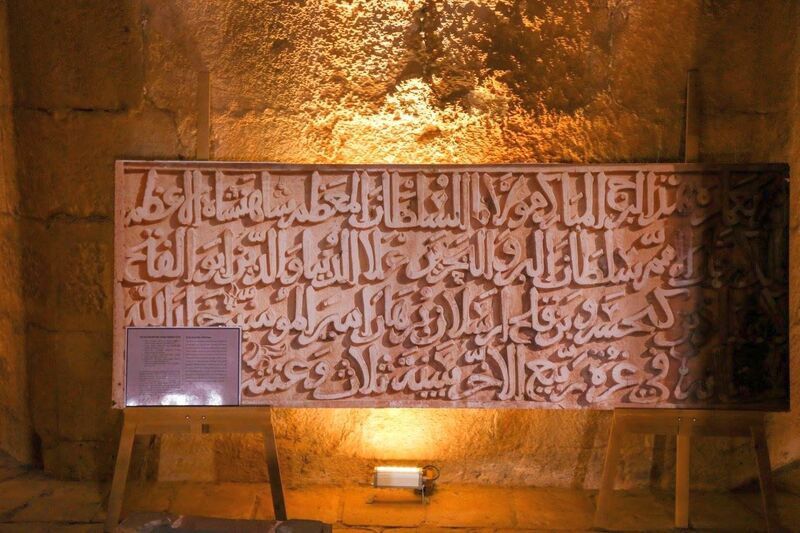 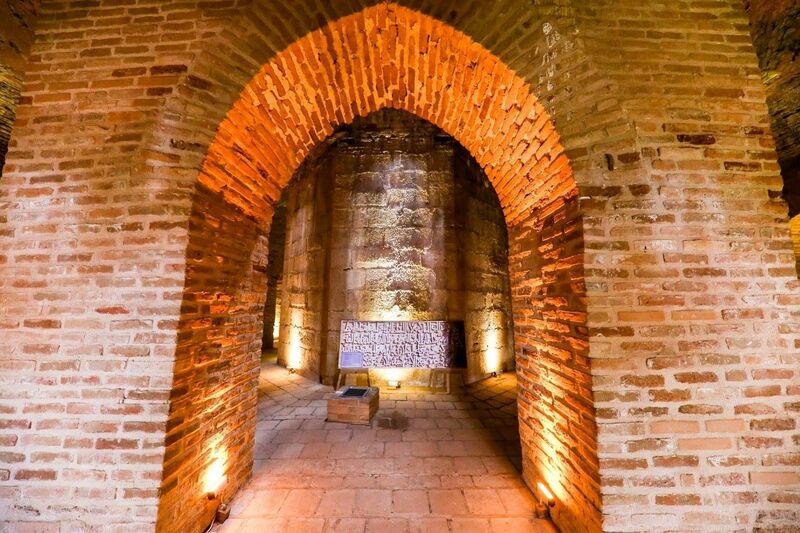 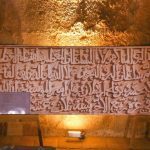 The ticket includes entrance to the inner castle and to the part “Ehmedek” as well. 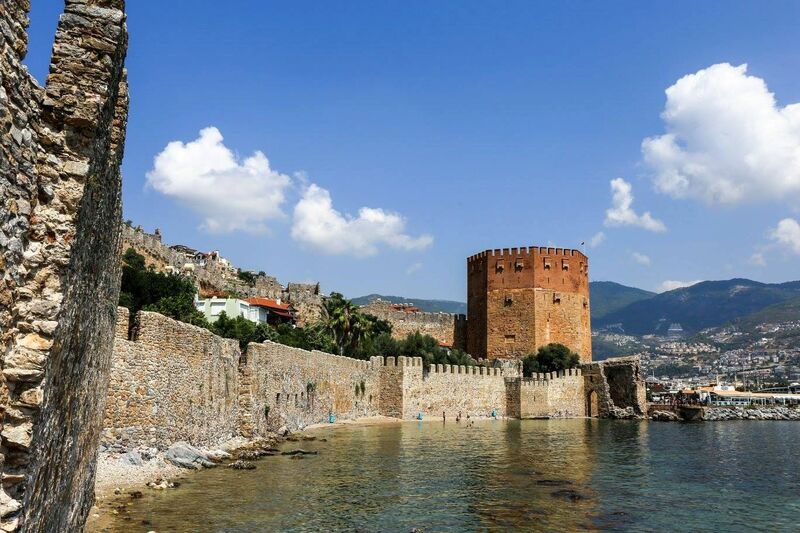 The Alanya castle is opened every day from 9:00 – 19:00 o’clock but it is possible to enter the castle latest at 18:30. 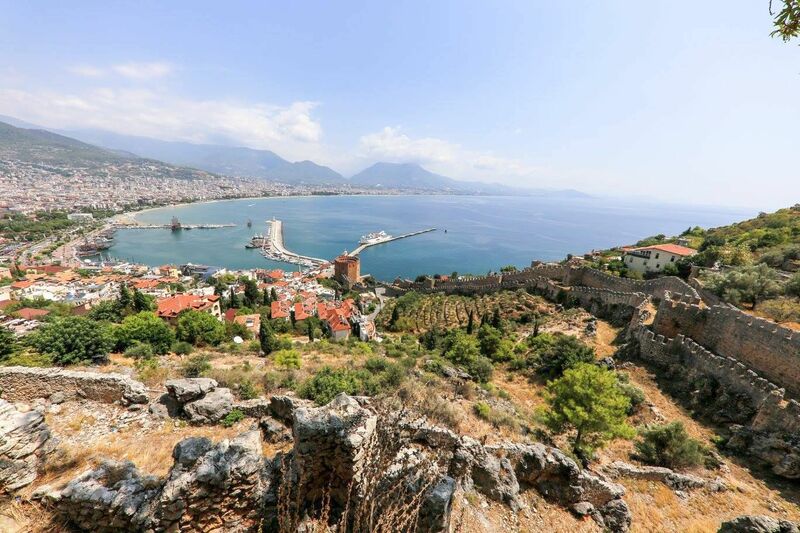 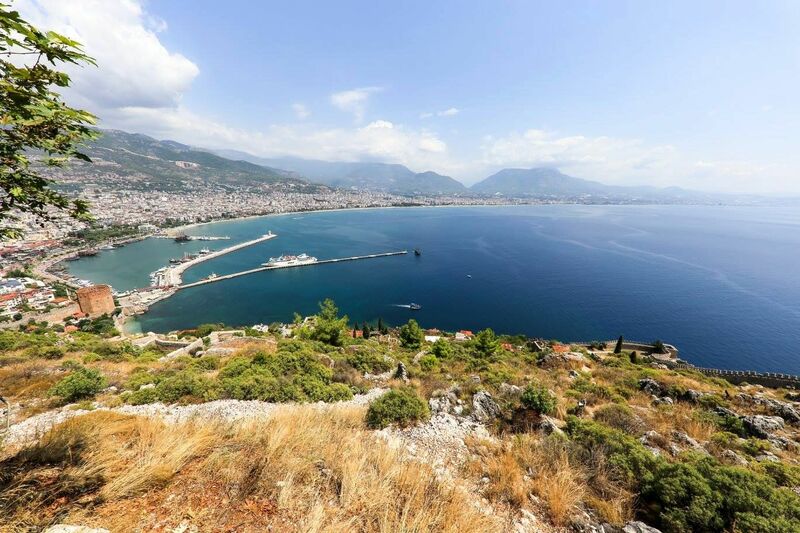 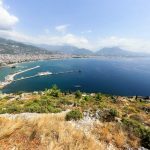 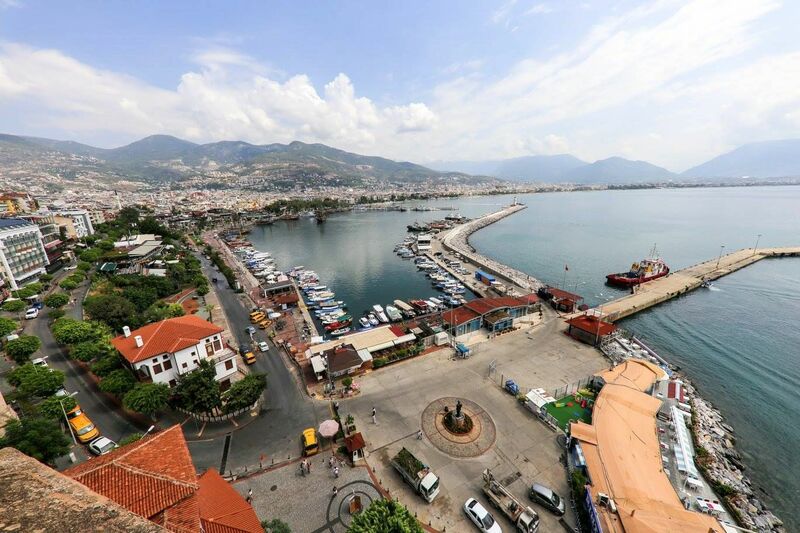 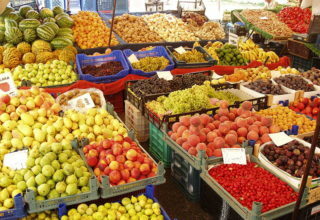 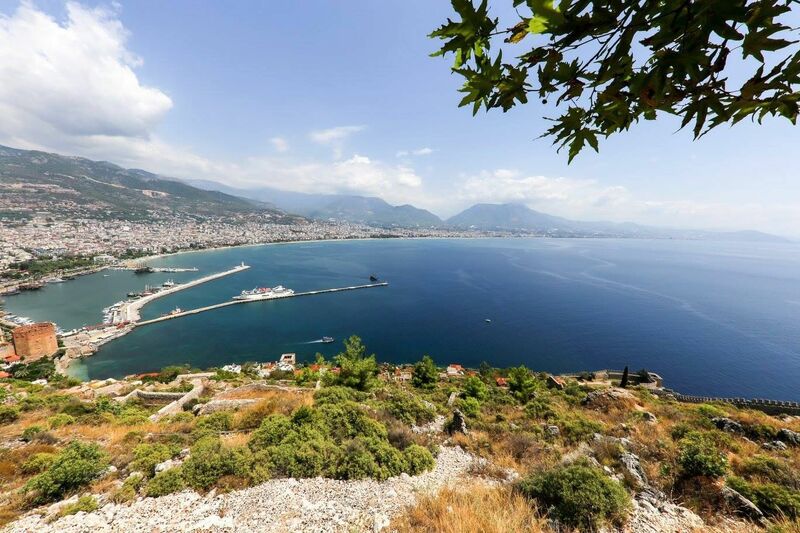 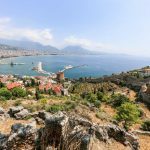 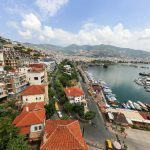 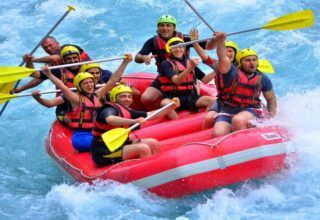 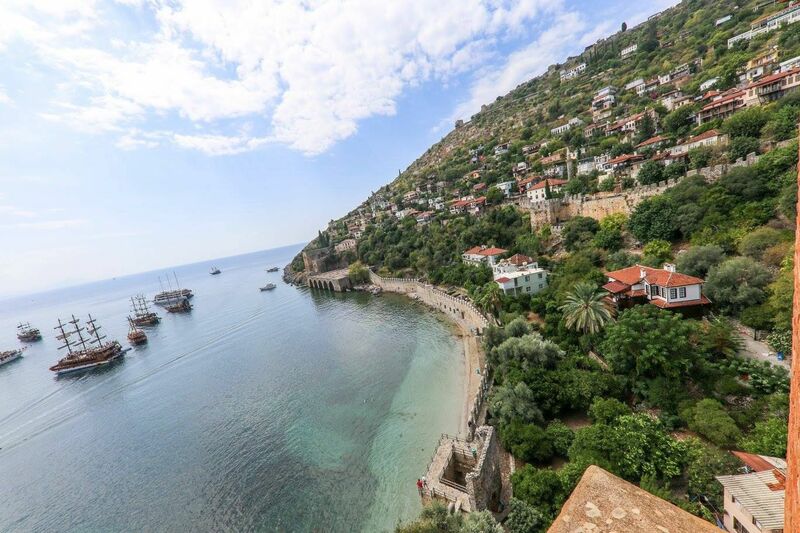 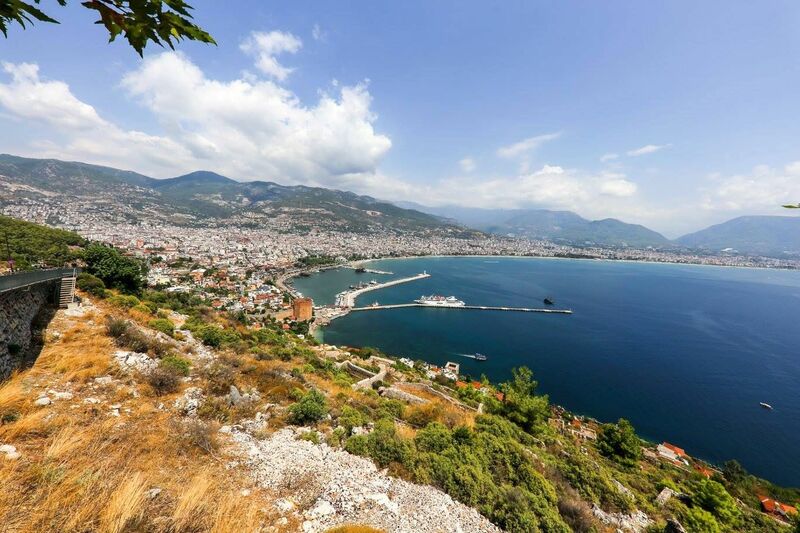 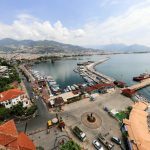 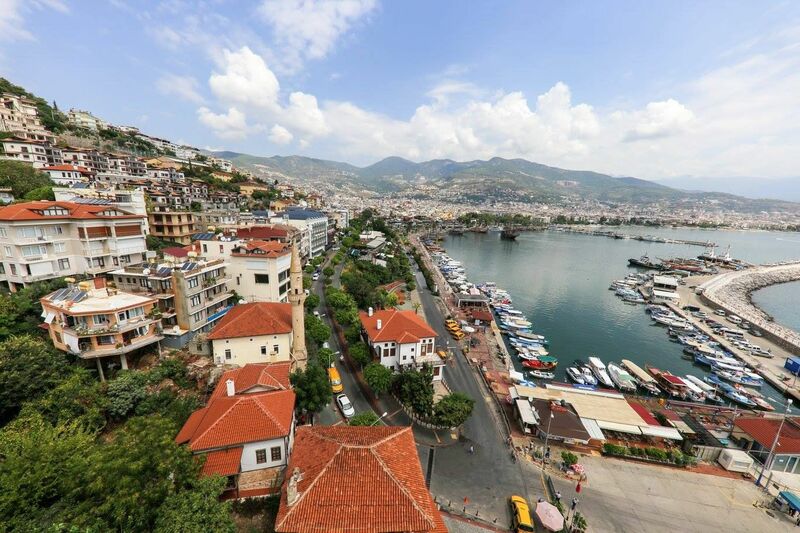 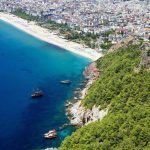 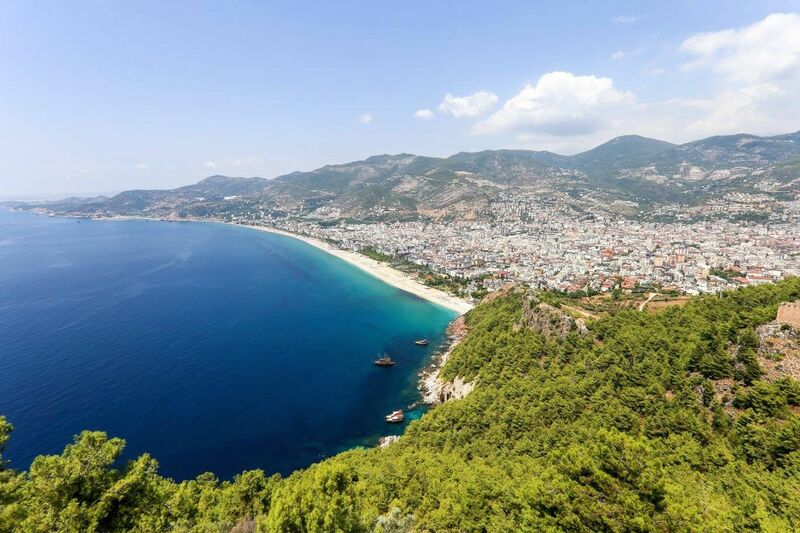 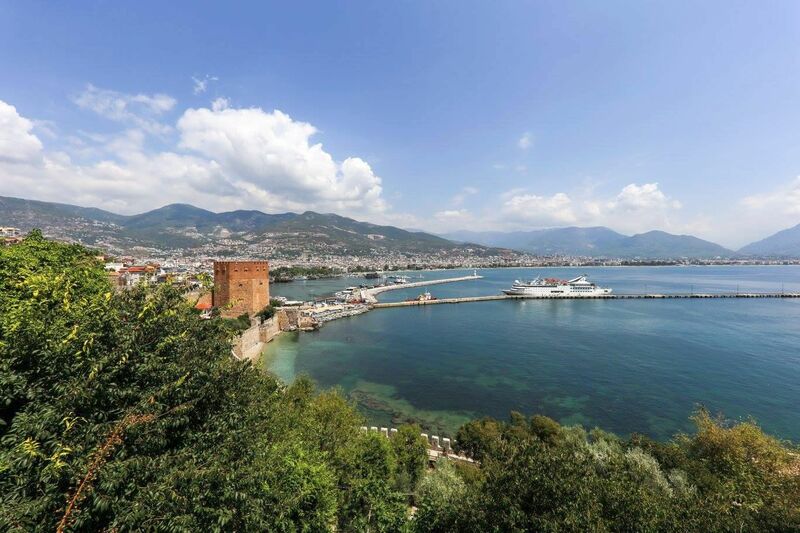 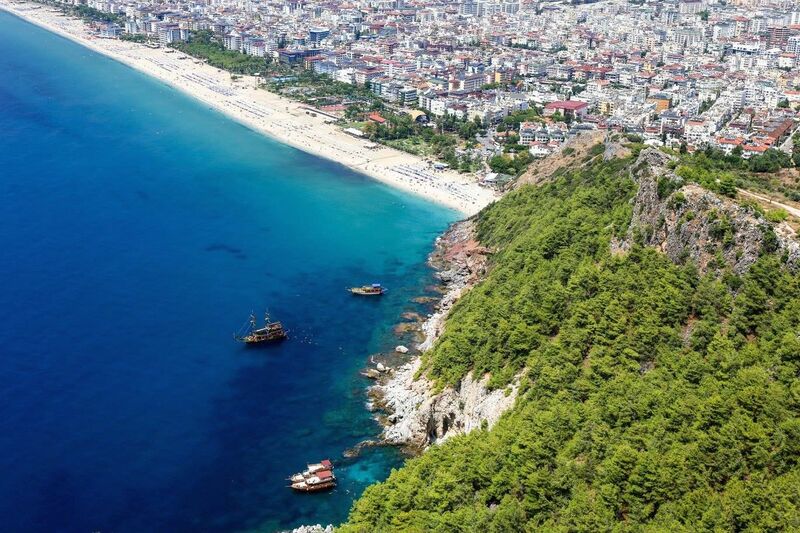 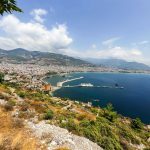 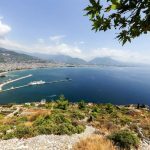 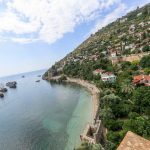 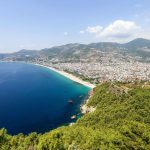 Take your camera and take nice panoramic pictures of Alanya.